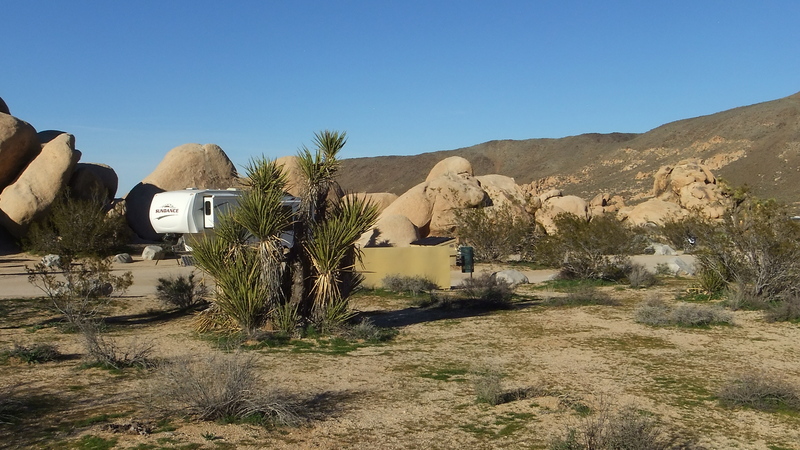 THE SMALL BELLE CAMPGROUND with its 18 campsites lies at the high point of a large, sweeping valley that drops both to the north and to the south. 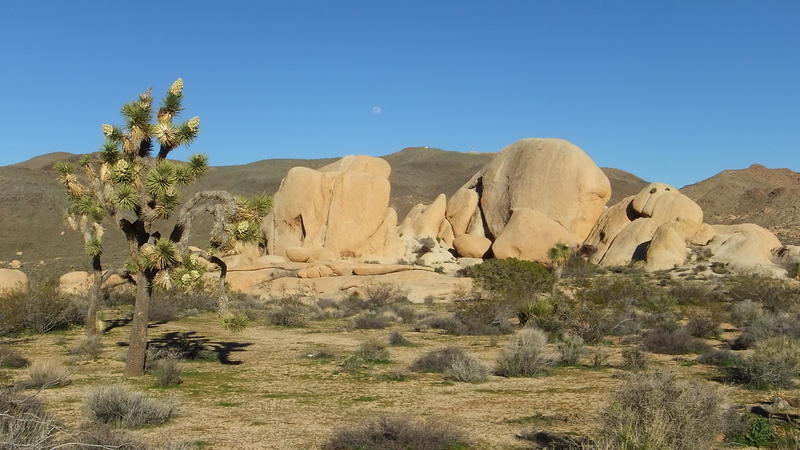 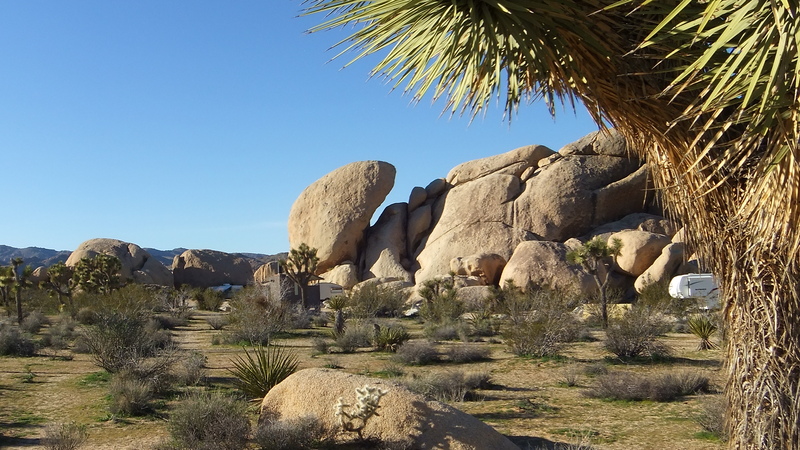 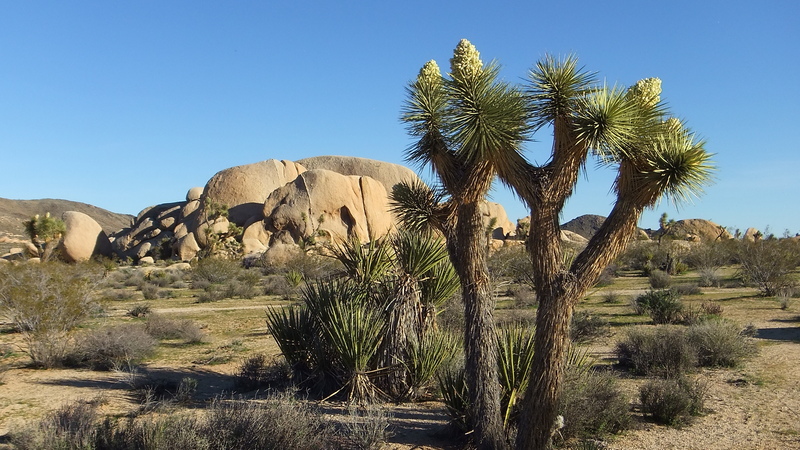 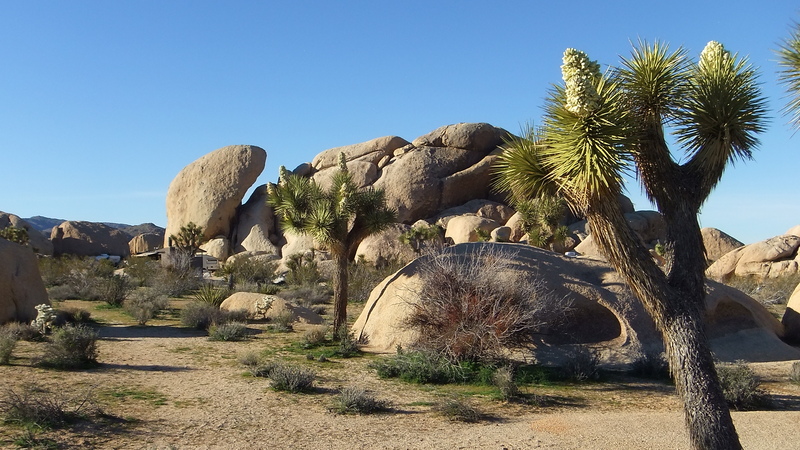 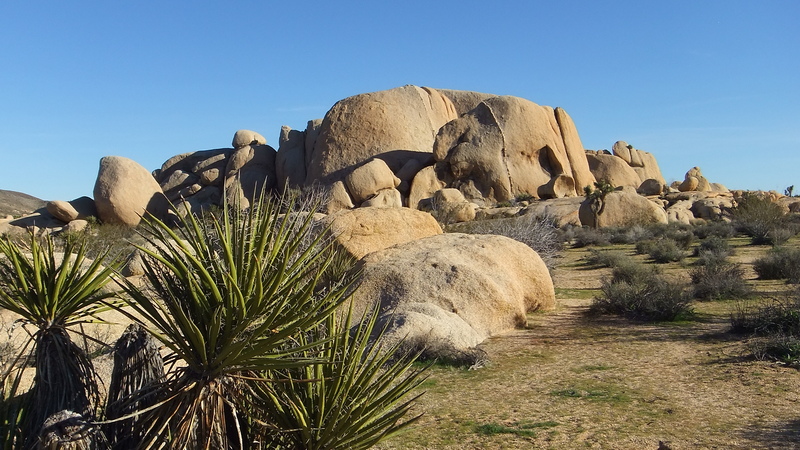 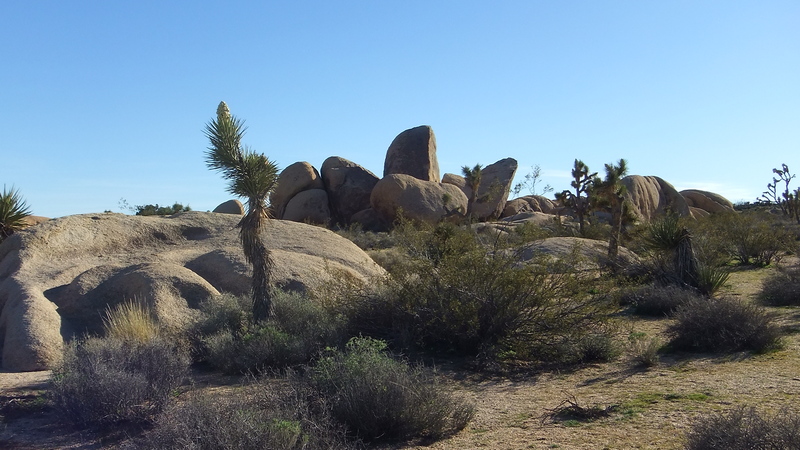 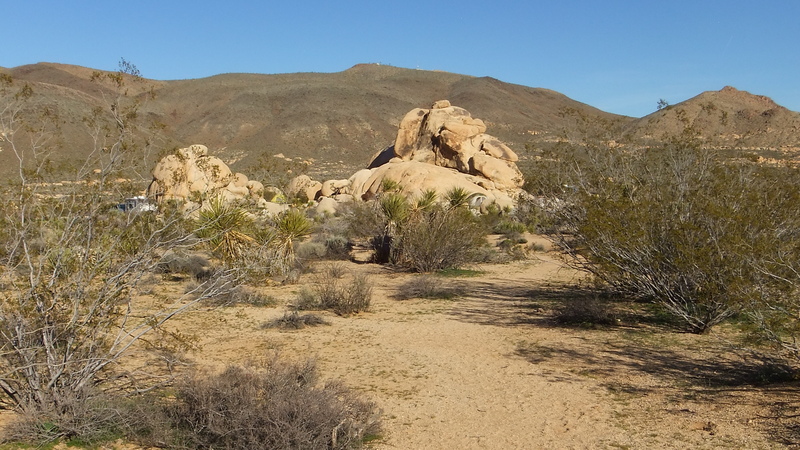 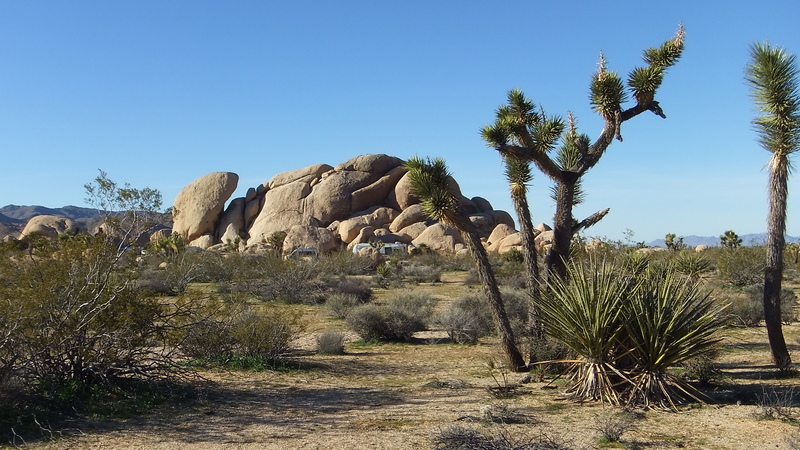 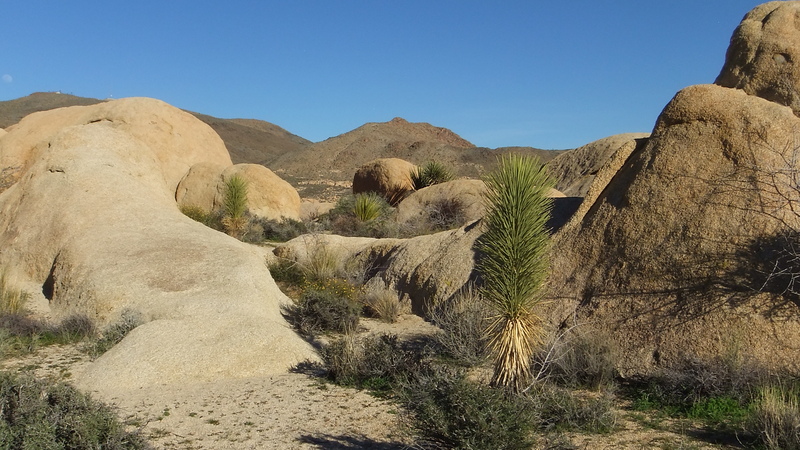 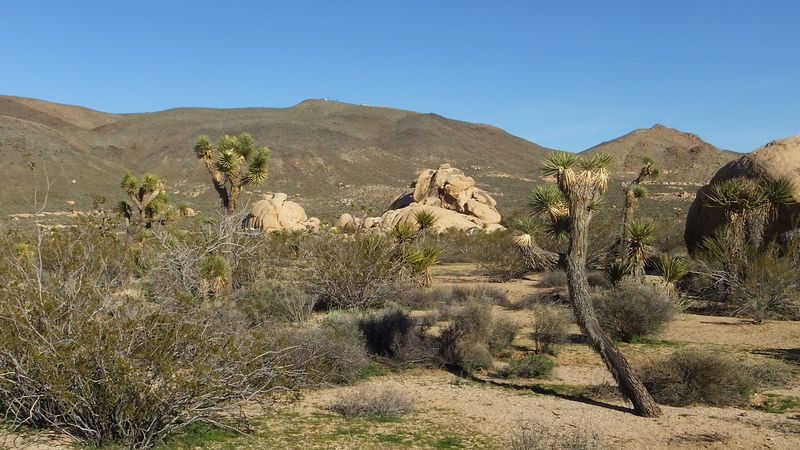 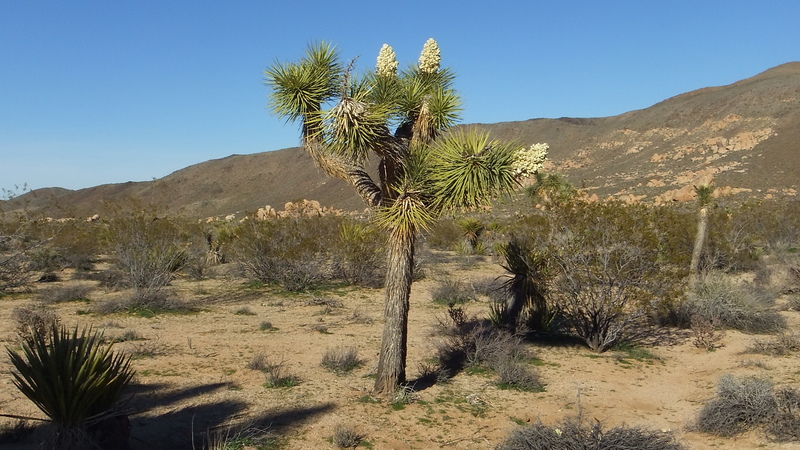 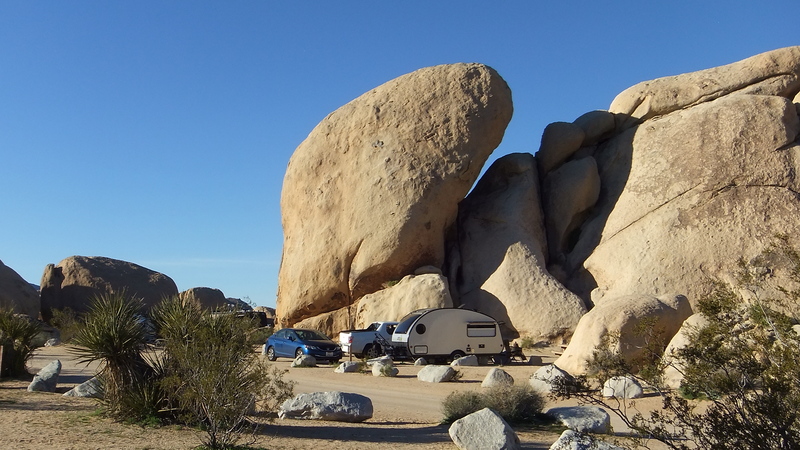 South you will find White Tank Campground, beyond which the Mojave Desert makes a transition into the lower, drier Colorado Desert basin of Joshua Tree National Park. 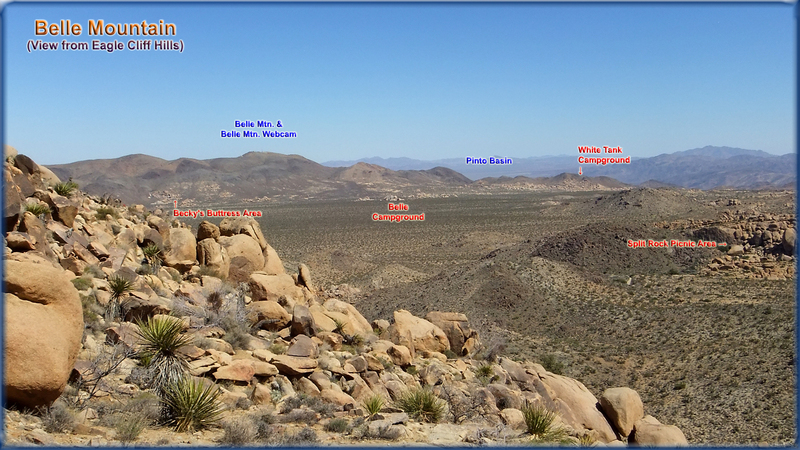 Dark brown Belle Mountain, with its ranger facilities and the Belle Mountain Webcam is shown at left. 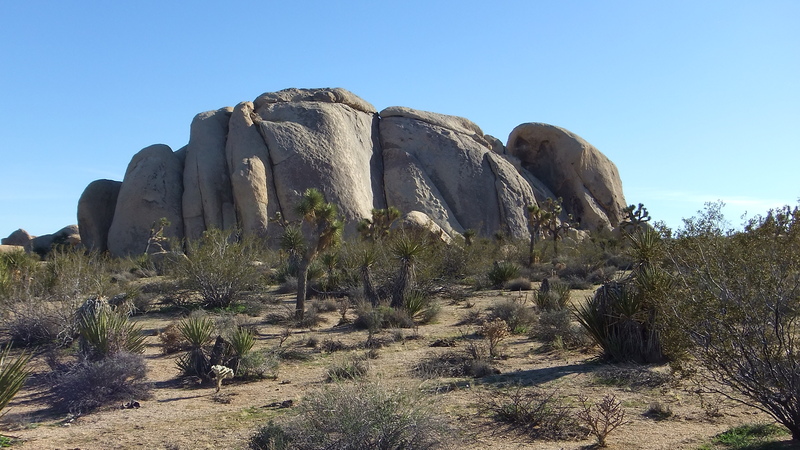 Pictured in the foreground is McClure’s Clump climbing formation that lies a few hundred yards east of Castle Rock. 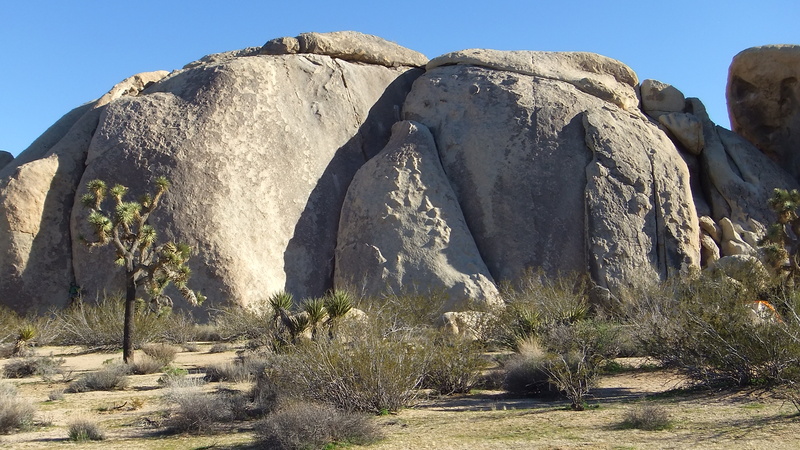 The main Belle Campground rock-climbing formation is Castle Rock (with 24 routes) at the base of which are the campsites. 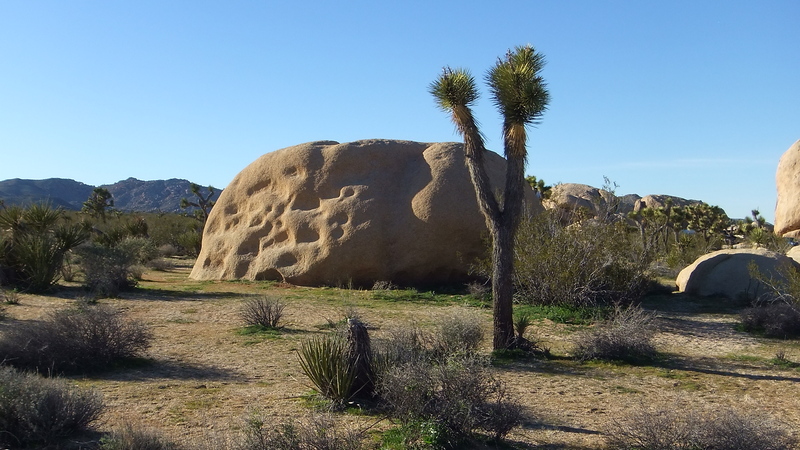 Short Cake Rocks (see below), is a short walk of 200 yards south of Castle Rock. 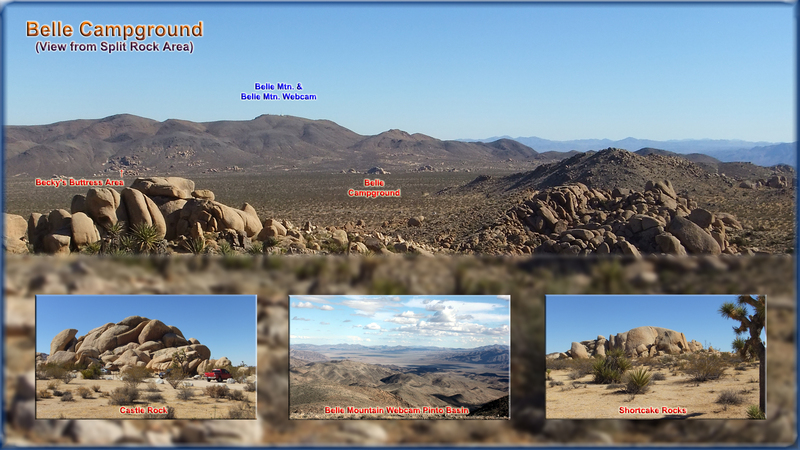 It hosts 6 routes. 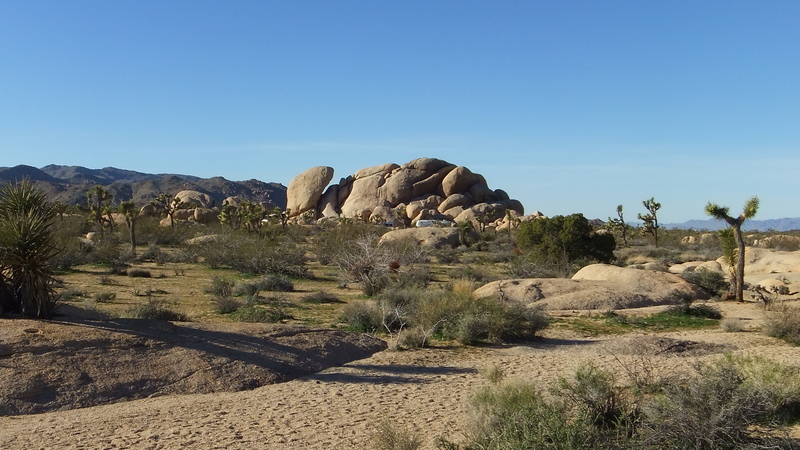 The far end of Belle’s campsites encircle McClure’s Clump that has 2 routes. 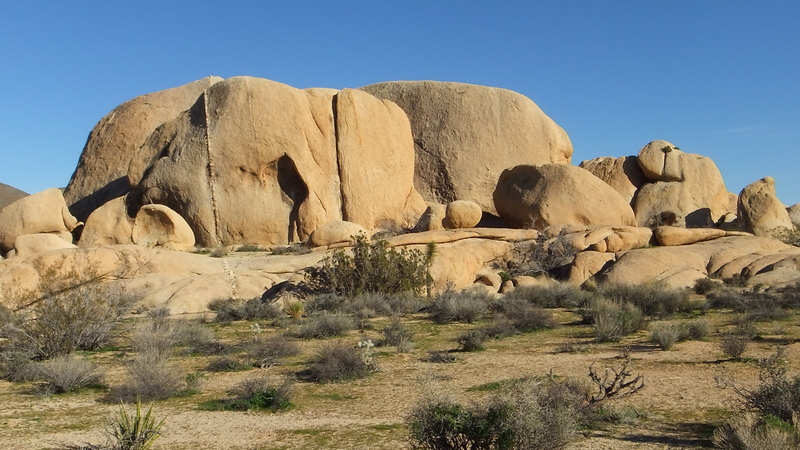 Finally there is Half Rock dominated by an obvious split boulder just south of the campground. 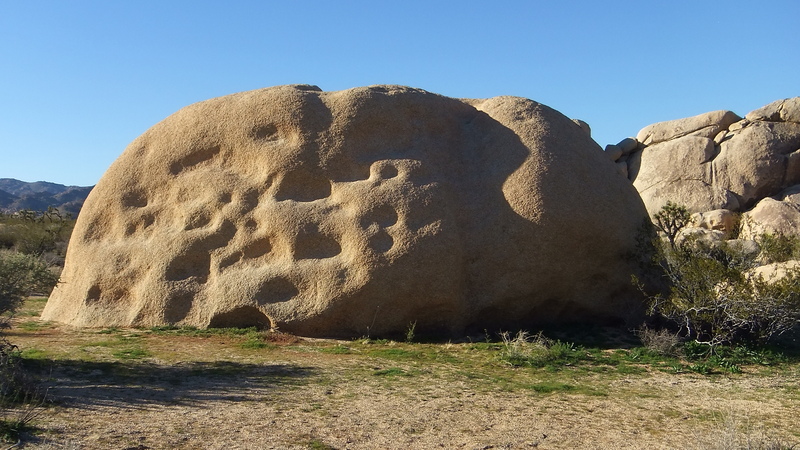 Half Rock has 4 routes. 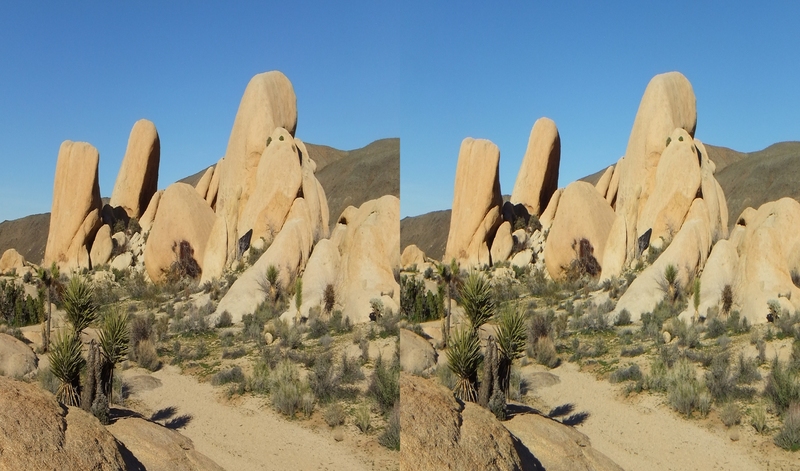 A mile northeast and jutting out of the hillside are additional monzogranite clusters known as Becky’s Buttress, Gorby’s Mound, and Tollakson’s Tower. 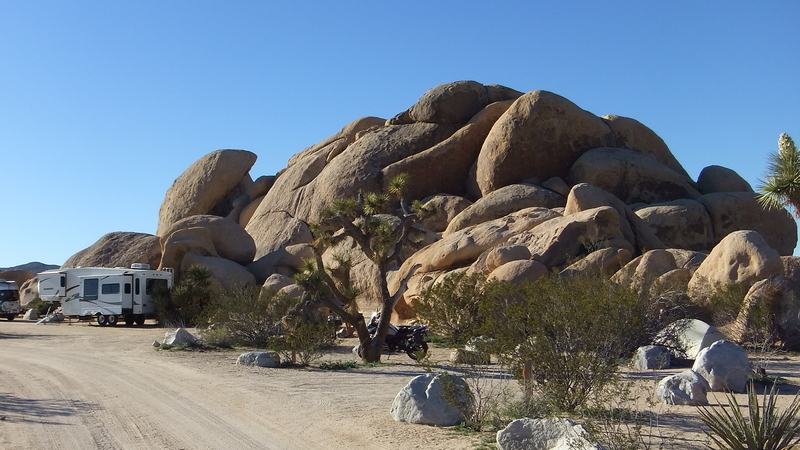 Conditions were ideal. 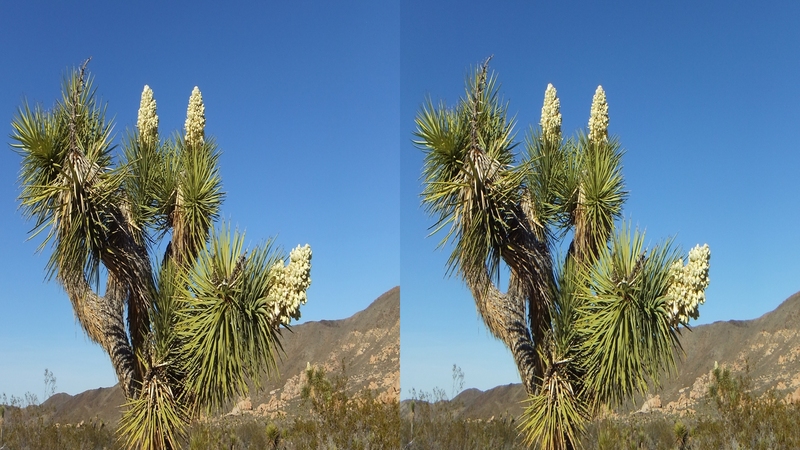 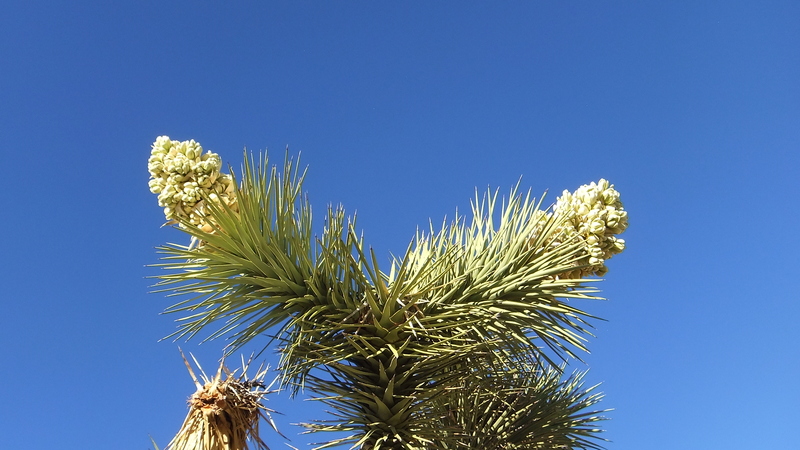 On the March 2017 trip, numerous Joshua Trees within the campground were showing off their spring blossoms. 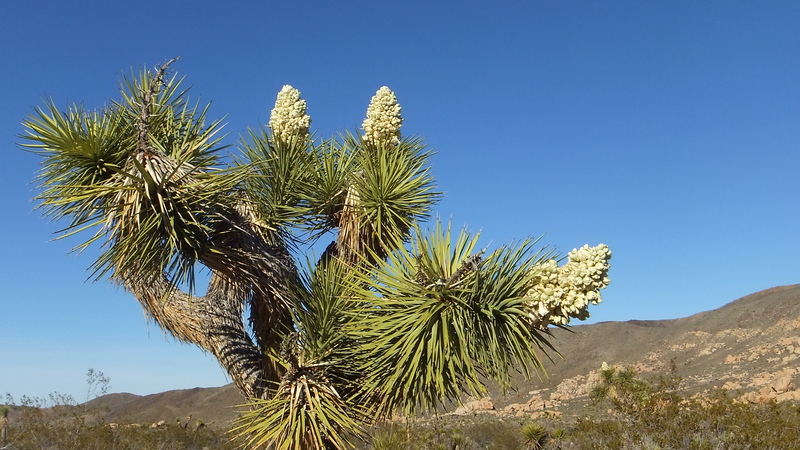 While elsewhere in the Park, areas like Quail Springs and Lost Horse Valley, the blooms were barely 1 in 10 (meaning a blossom or two on only ten percent of the trees), Belle Campground was putting on fine display. 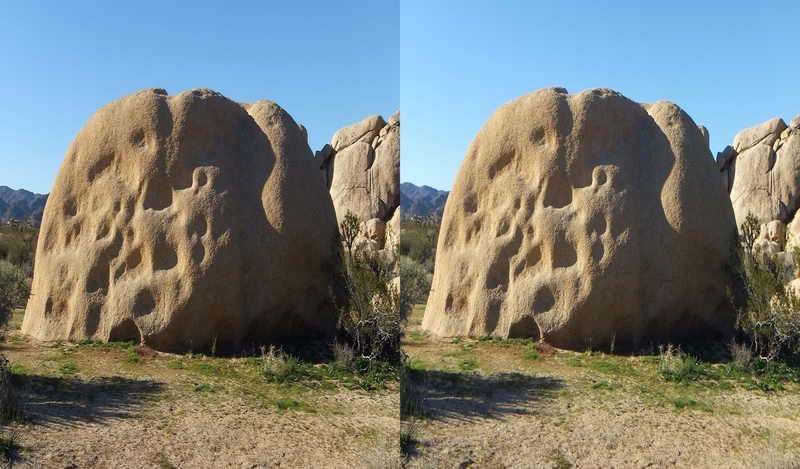 There are numerous squat Joshuas in this section just down from Pinto Wye. 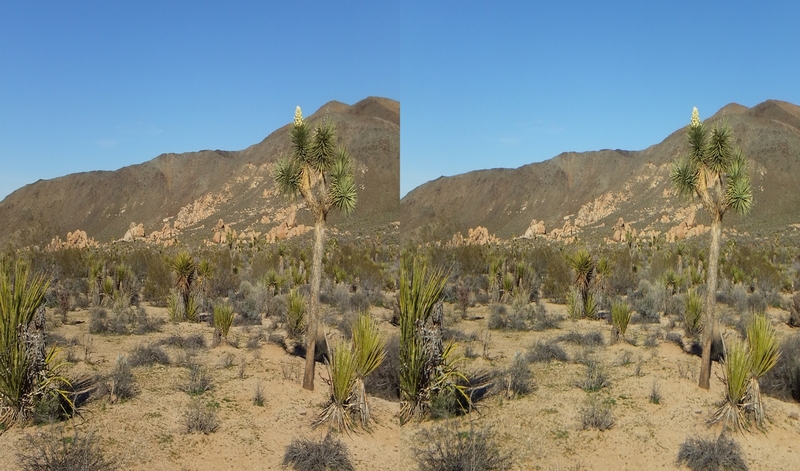 Many were profusely decked out. 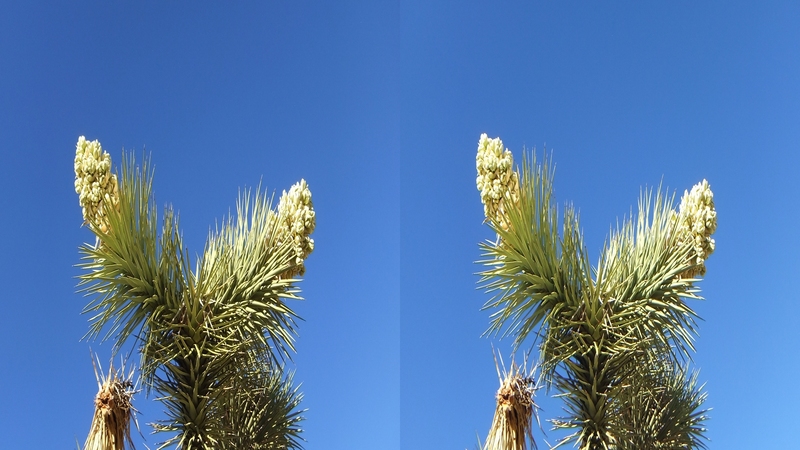 I counted 7 blooms on one tree, and 9 on another! 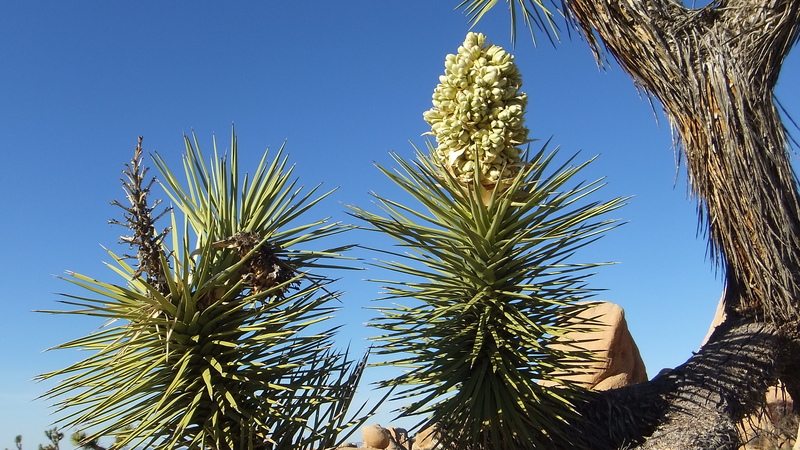 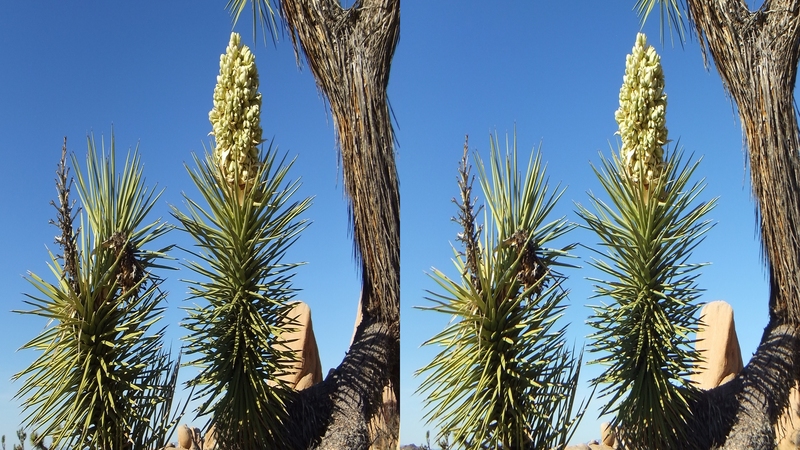 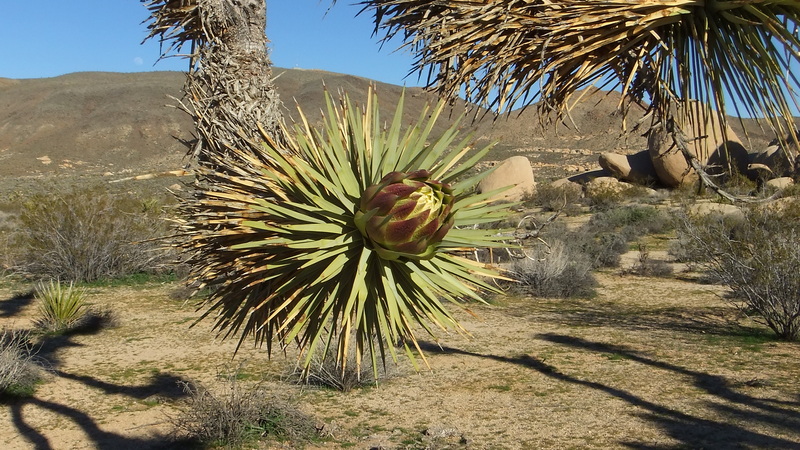 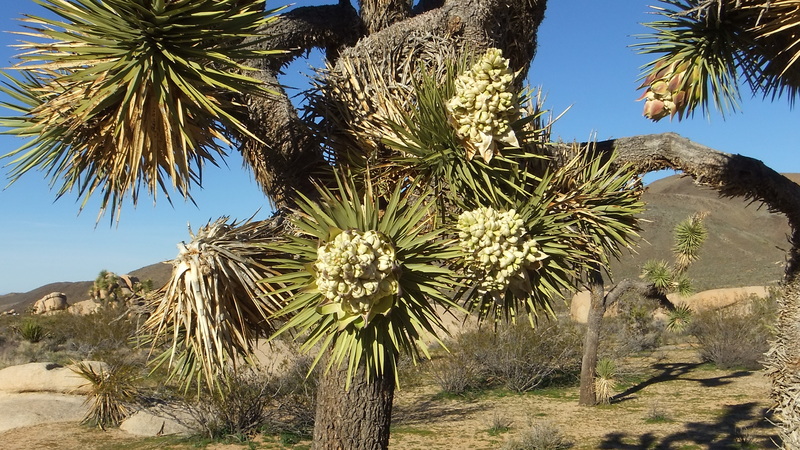 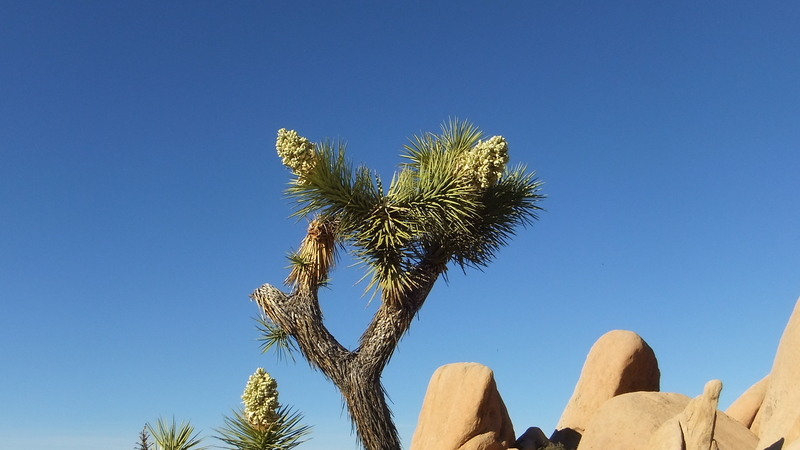 See the Belle Campground Joshuas in Bloom page for a dedicated look. 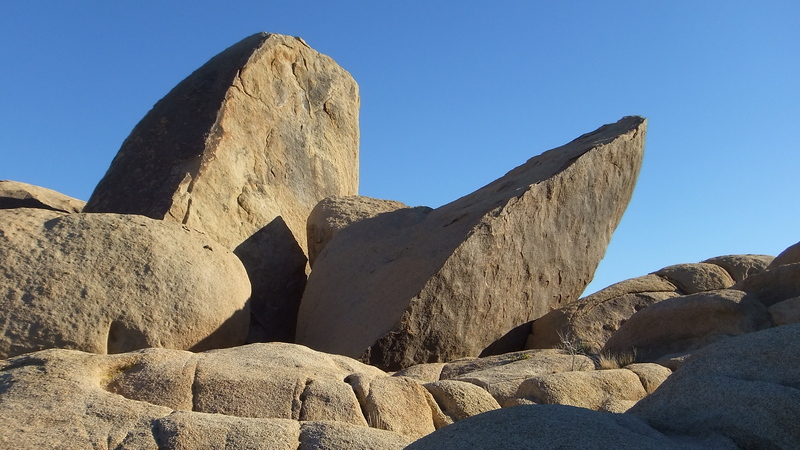 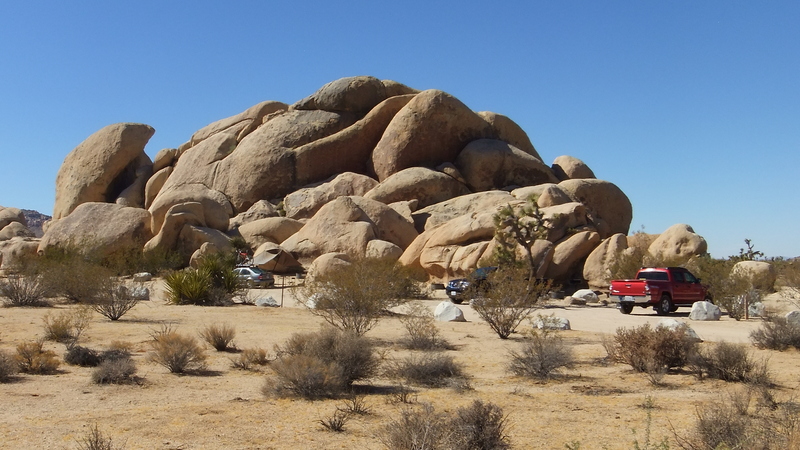 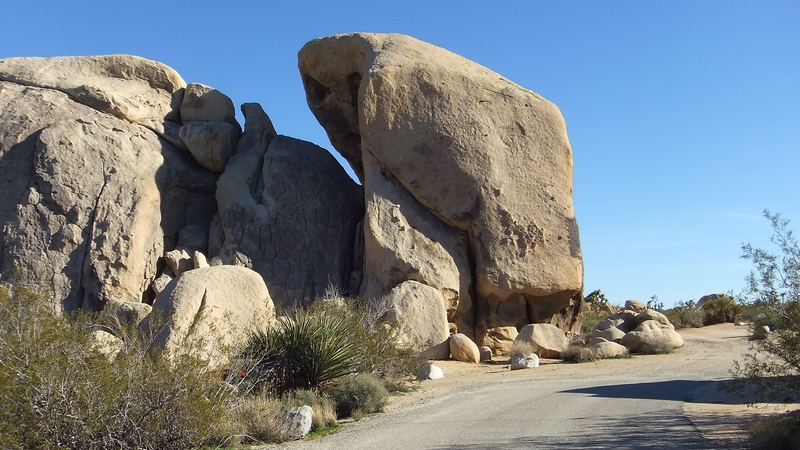 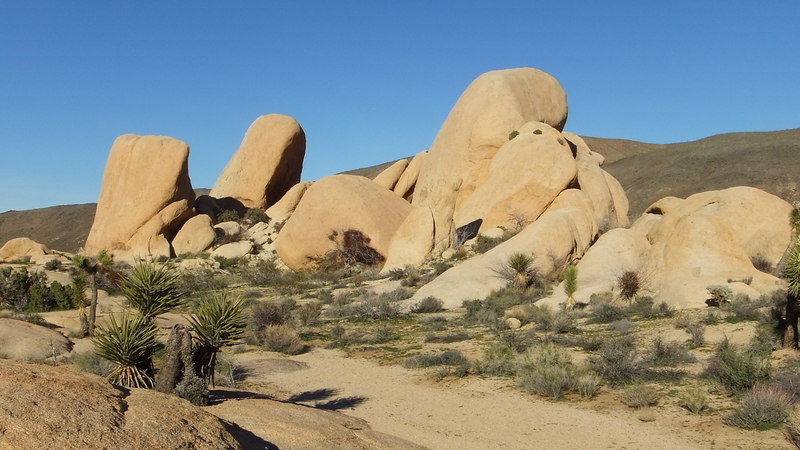 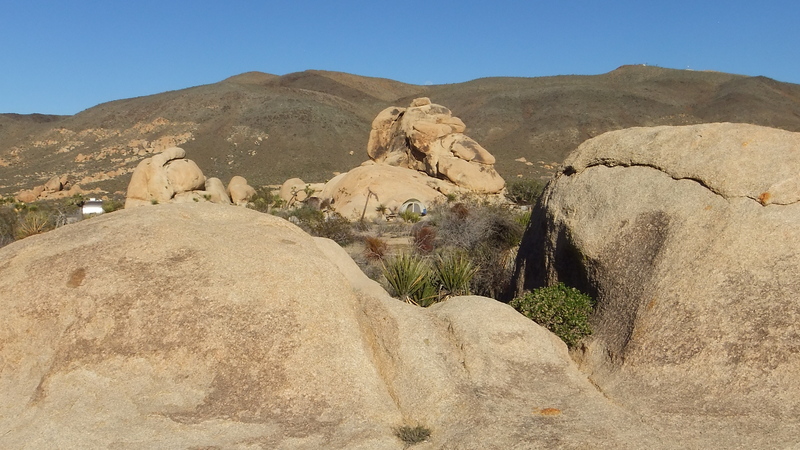 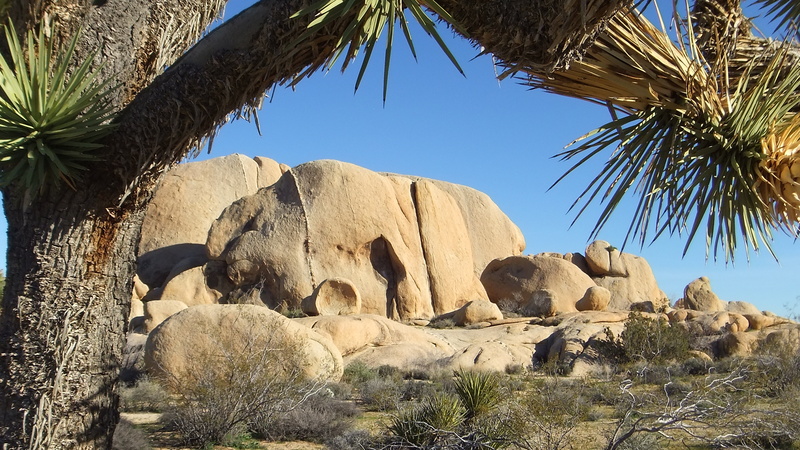 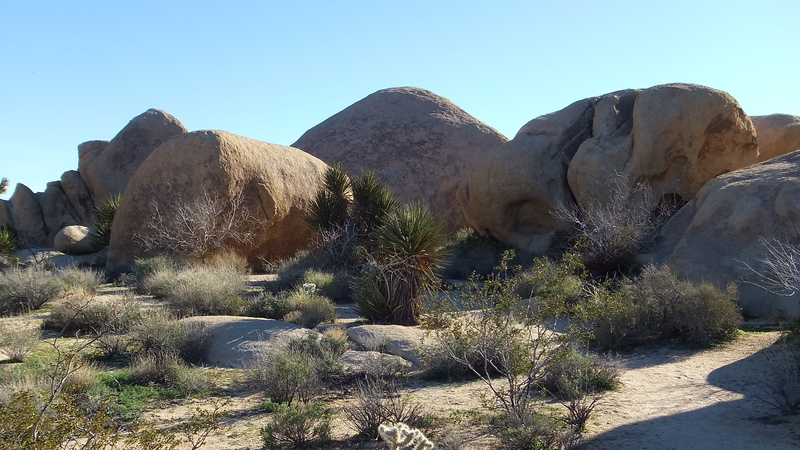 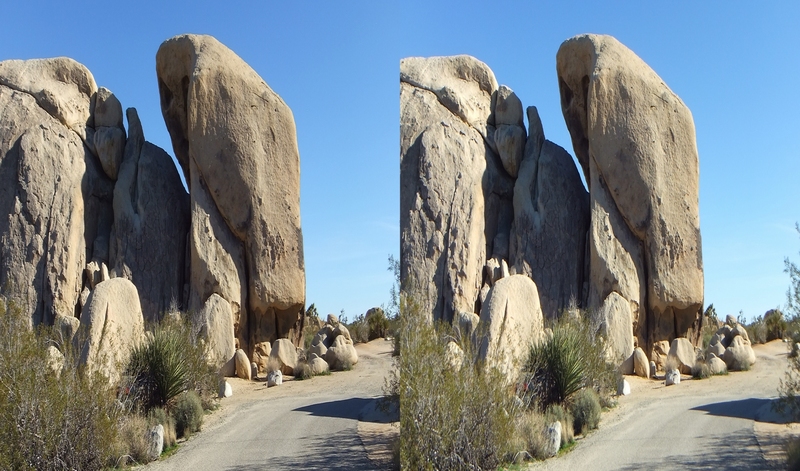 An unusual rock with numerous tafoni scoops in its face can be found a few paces northwest of Half Rock; this unique find is a natural result of monzogranite weathering seen throughout Joshua Tree National Park, but seldom this impressive. 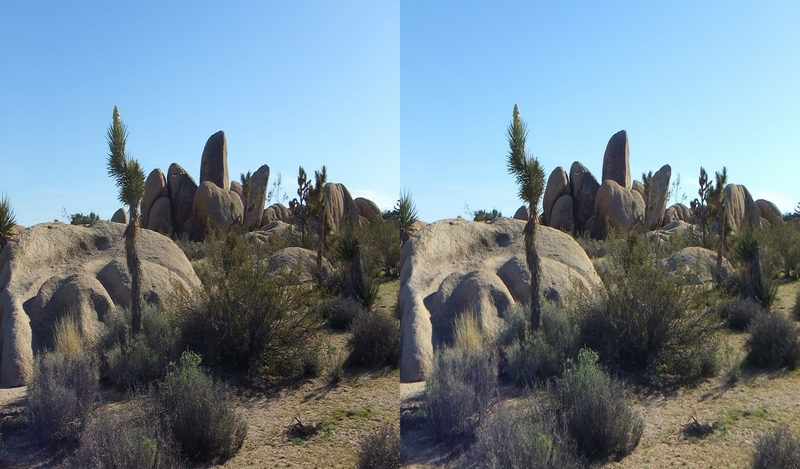 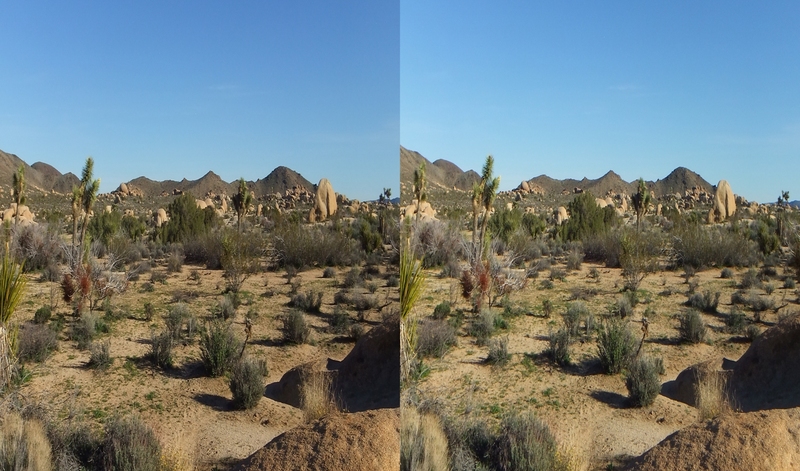 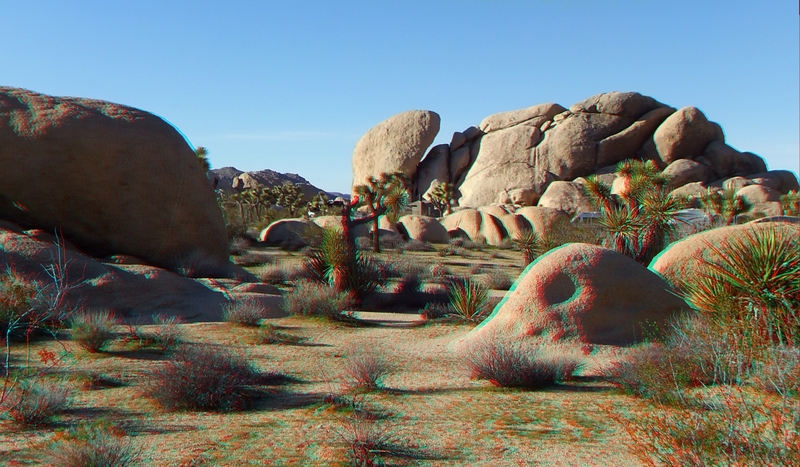 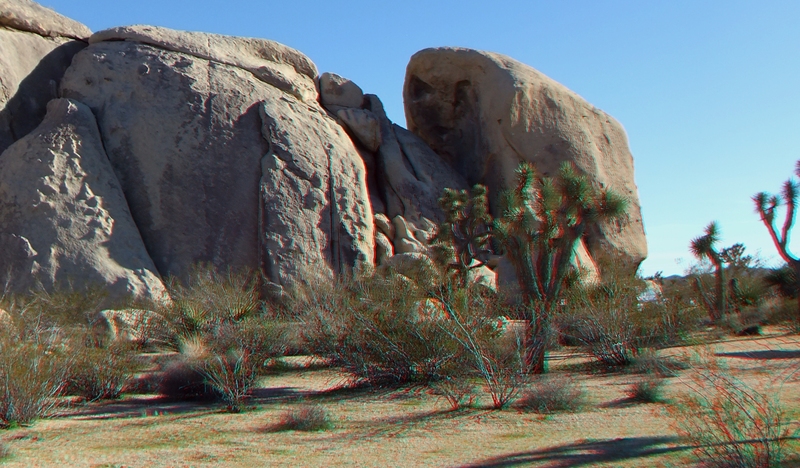 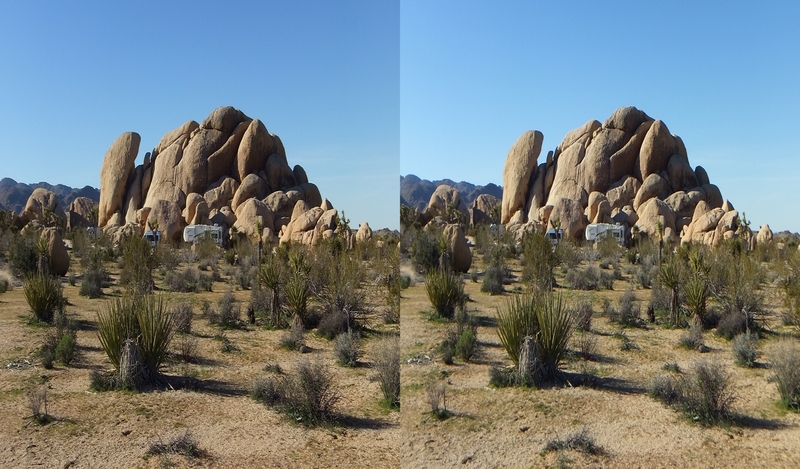 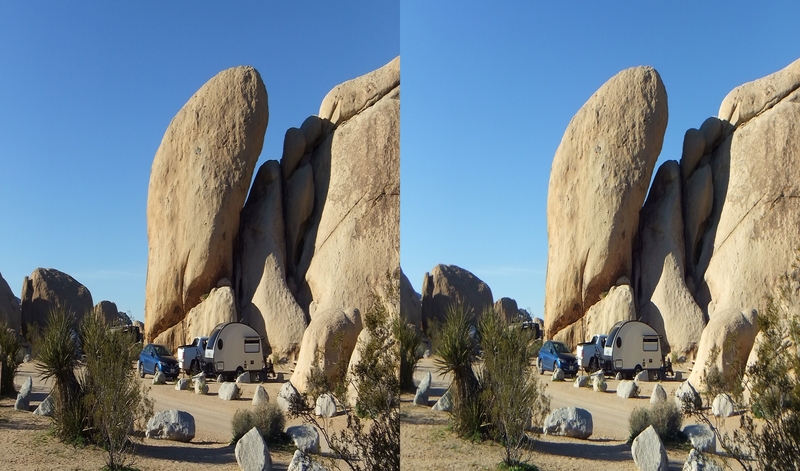 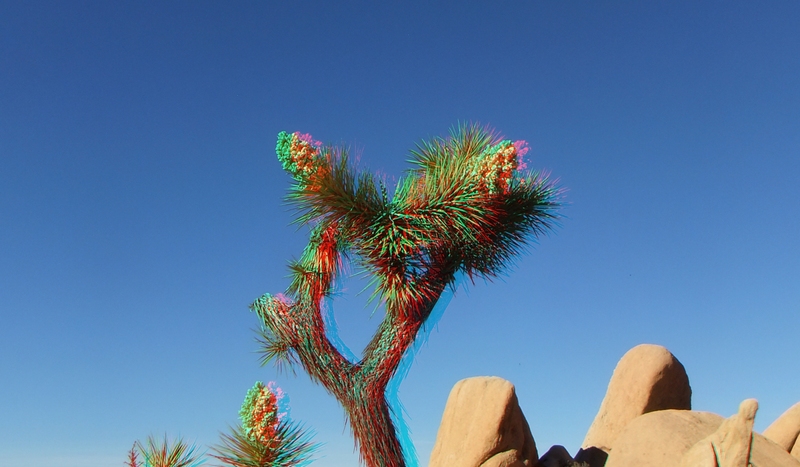 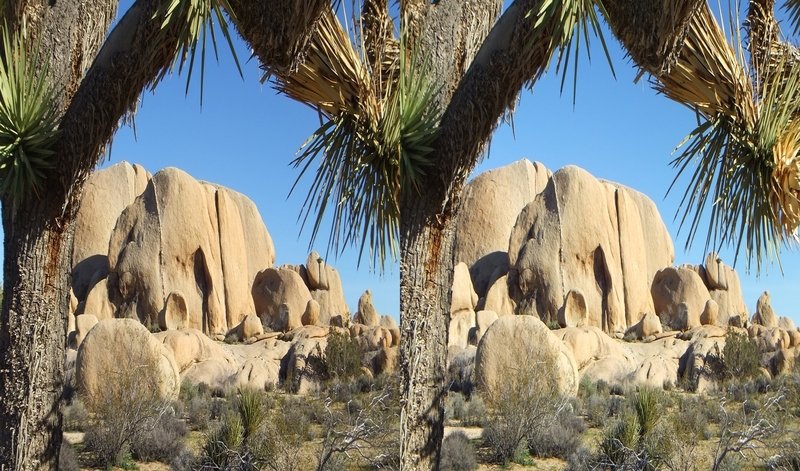 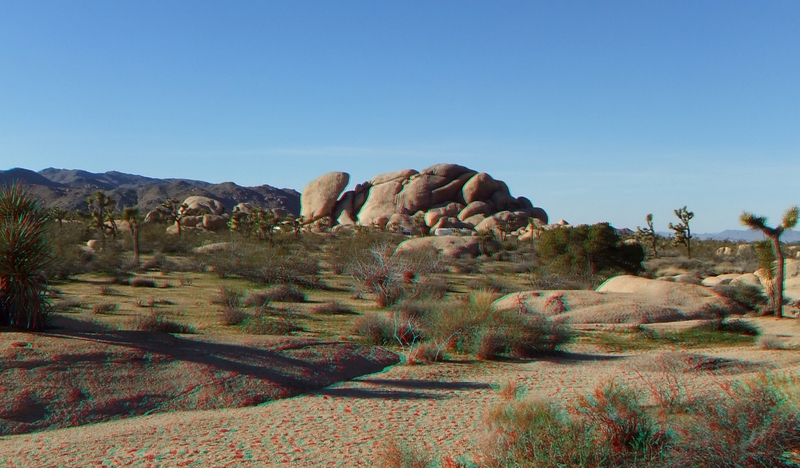 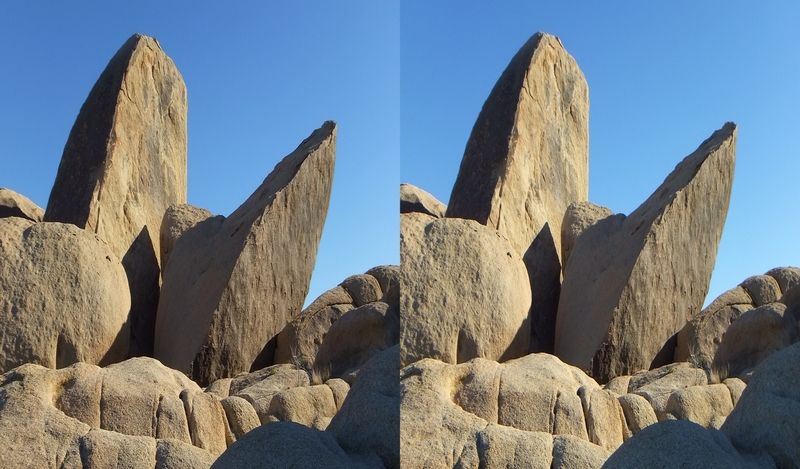 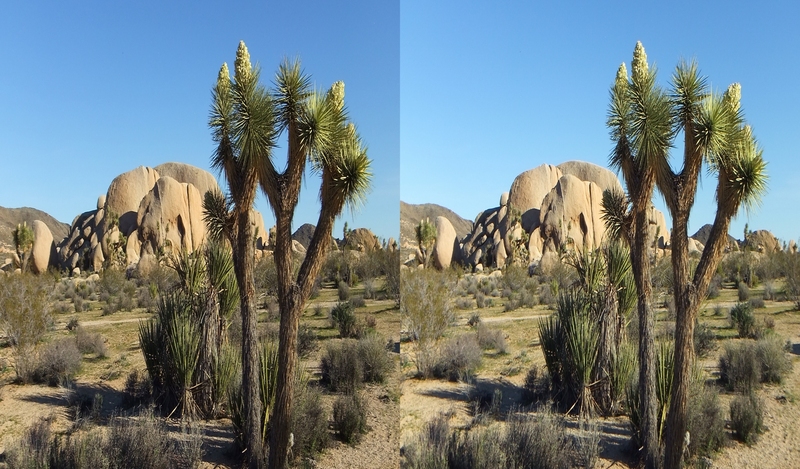 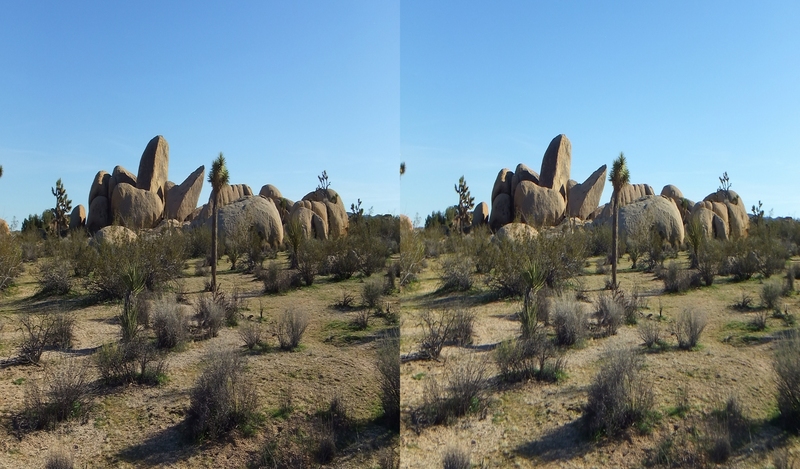 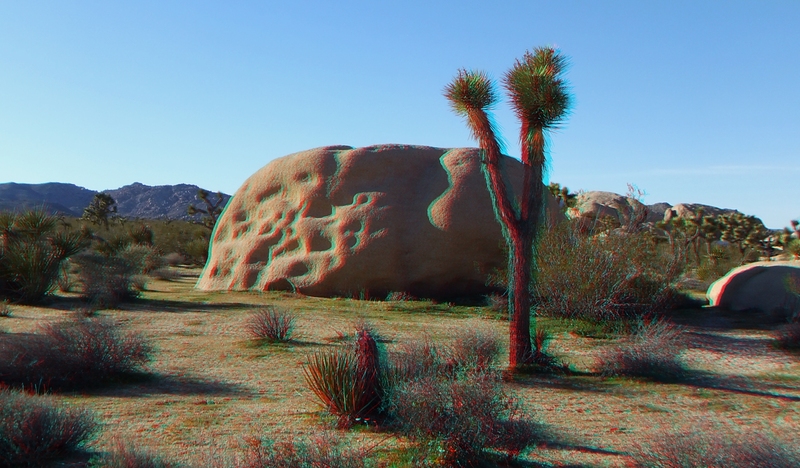 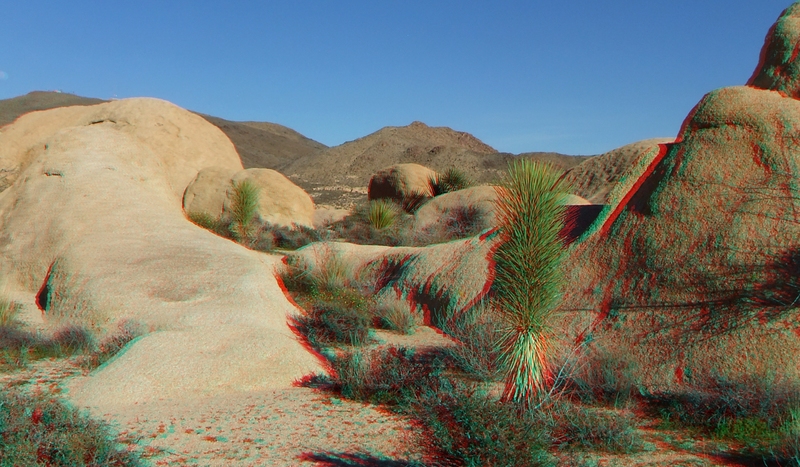 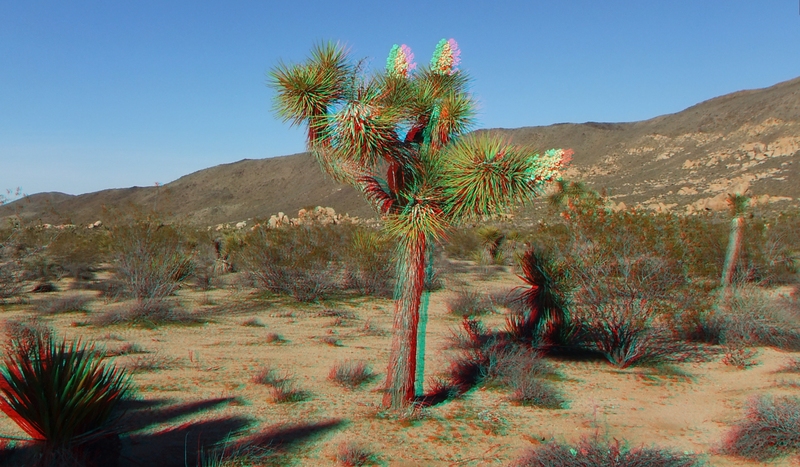 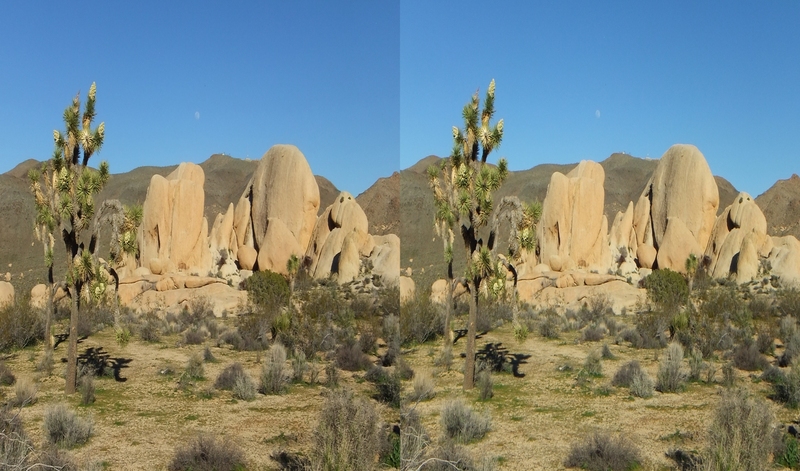 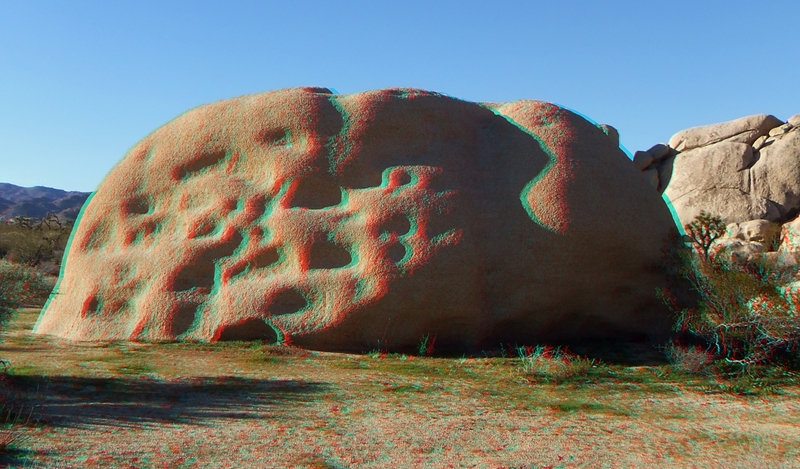 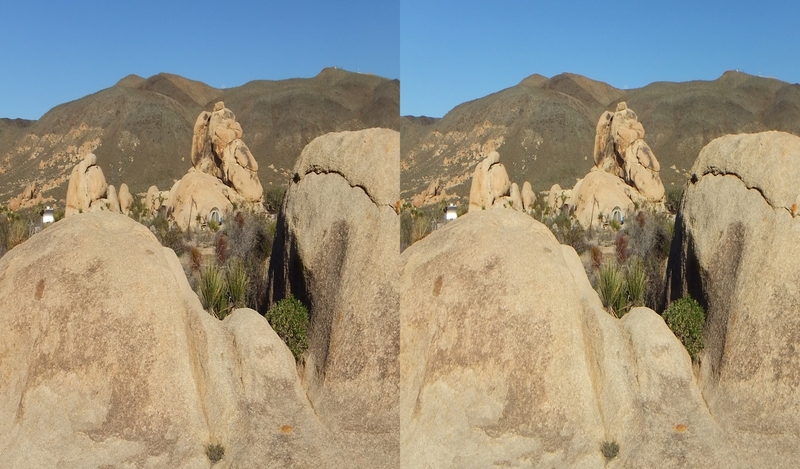 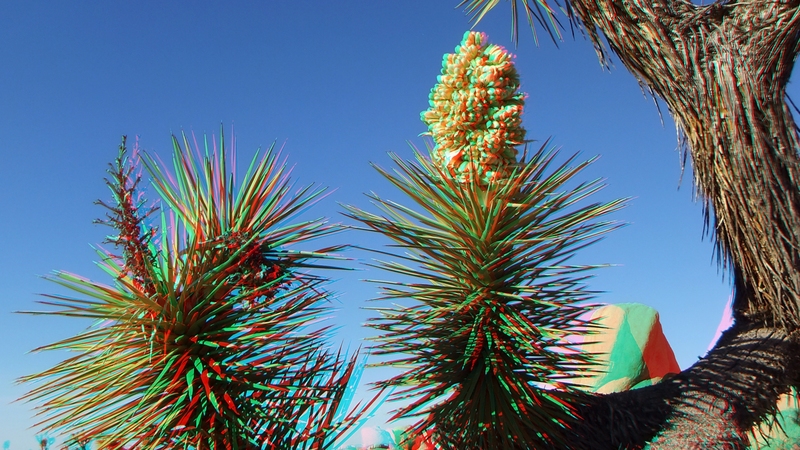 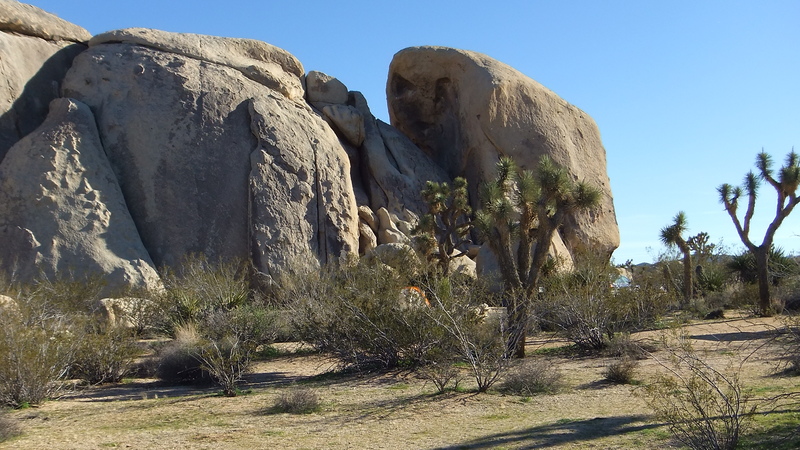 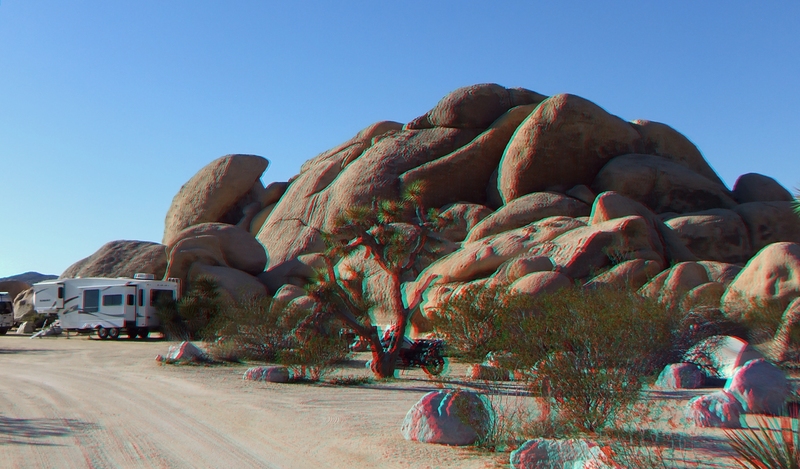 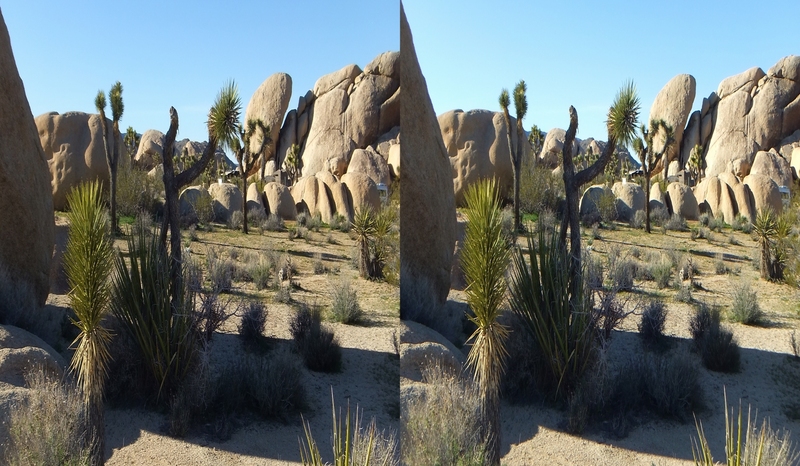 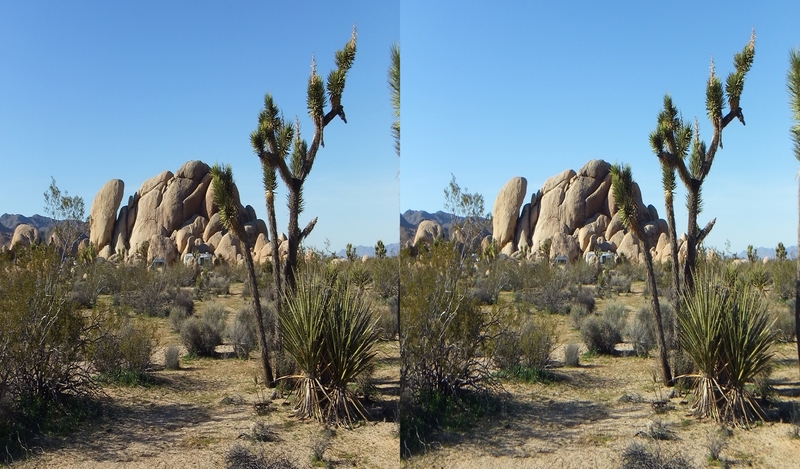 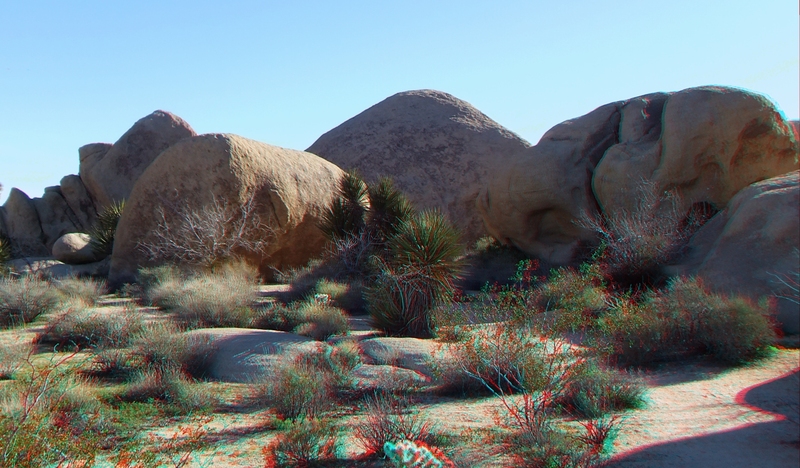 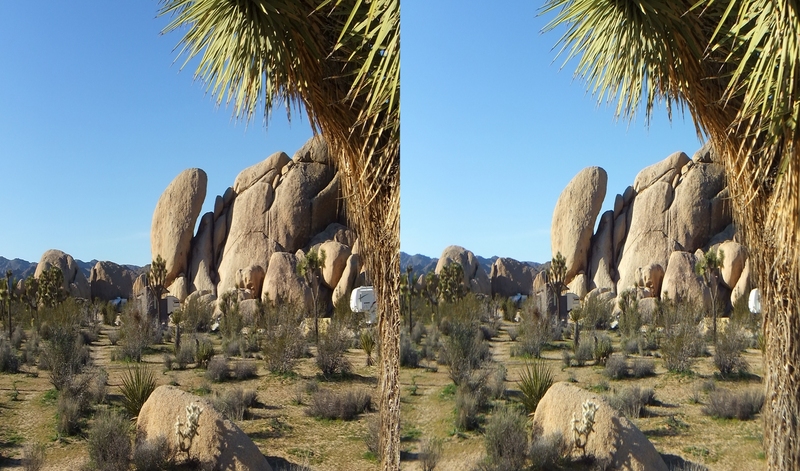 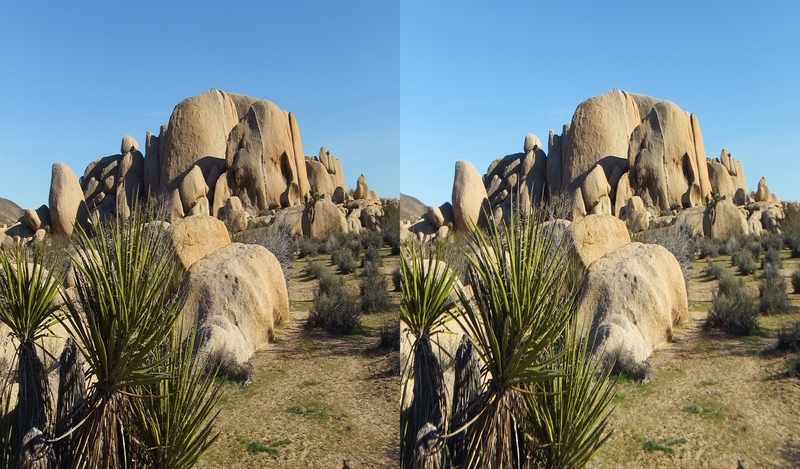 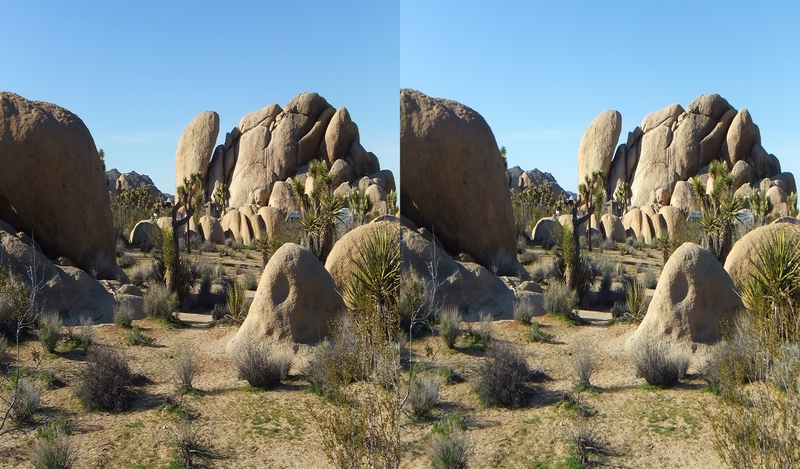 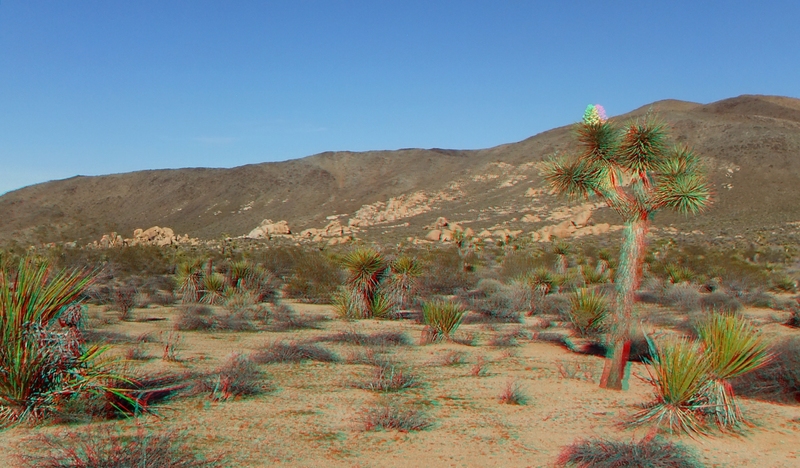 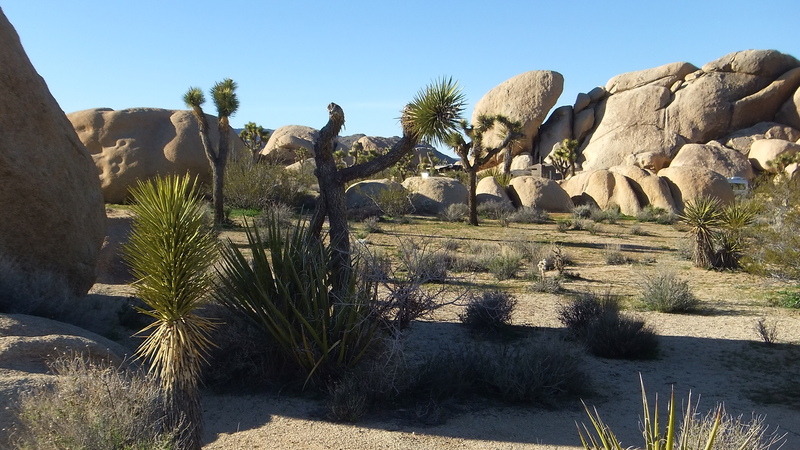 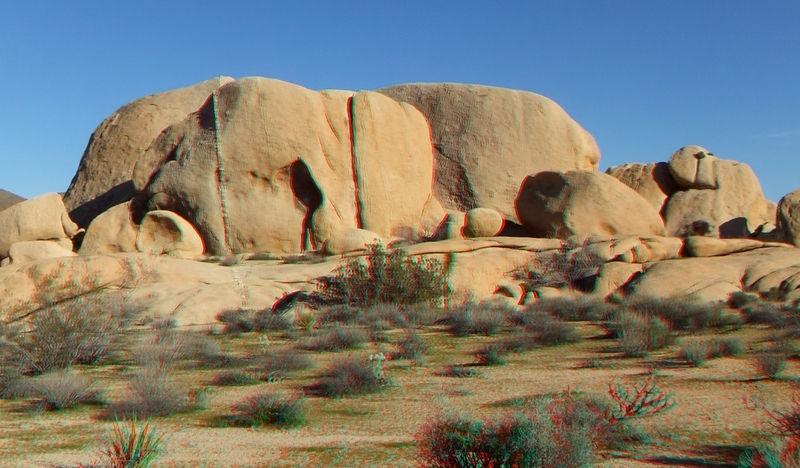 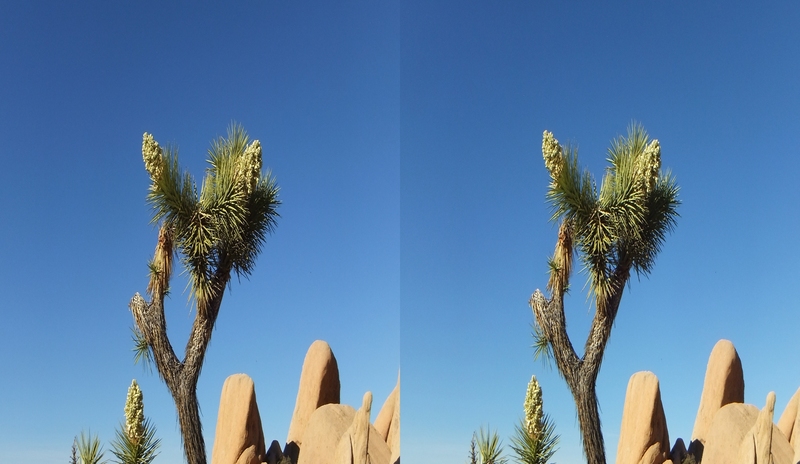 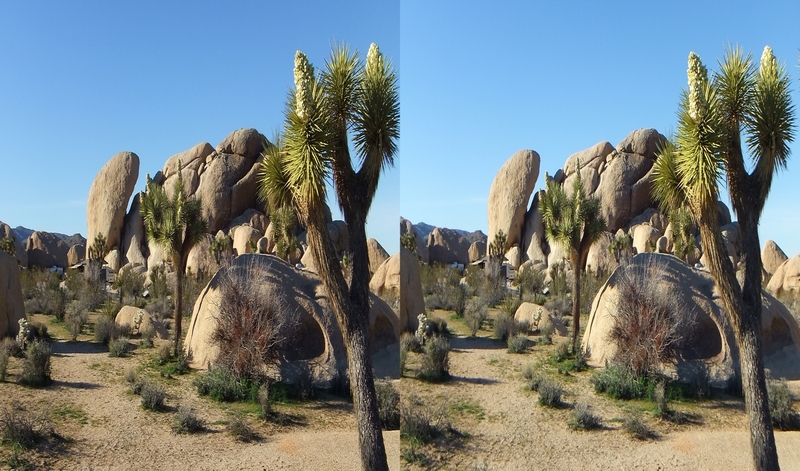 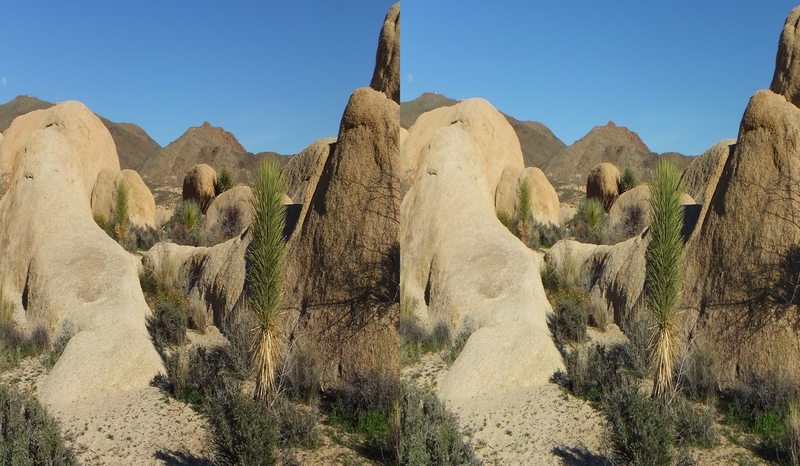 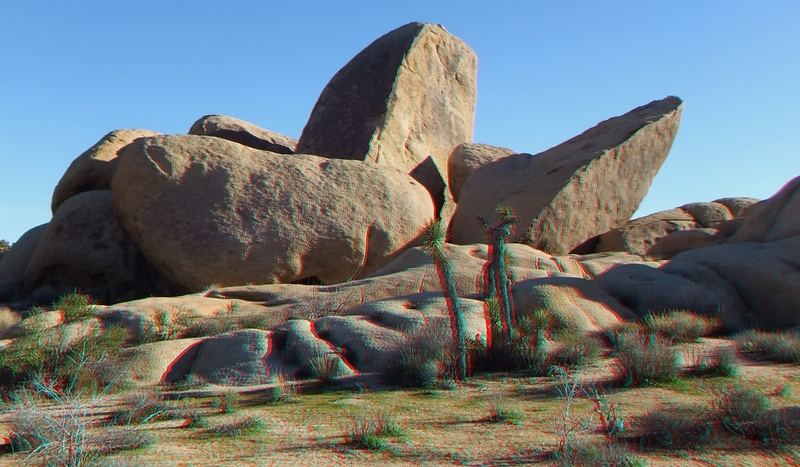 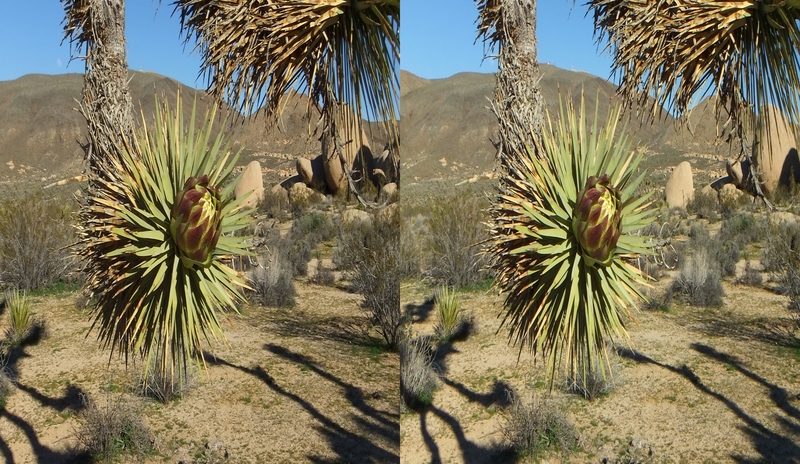 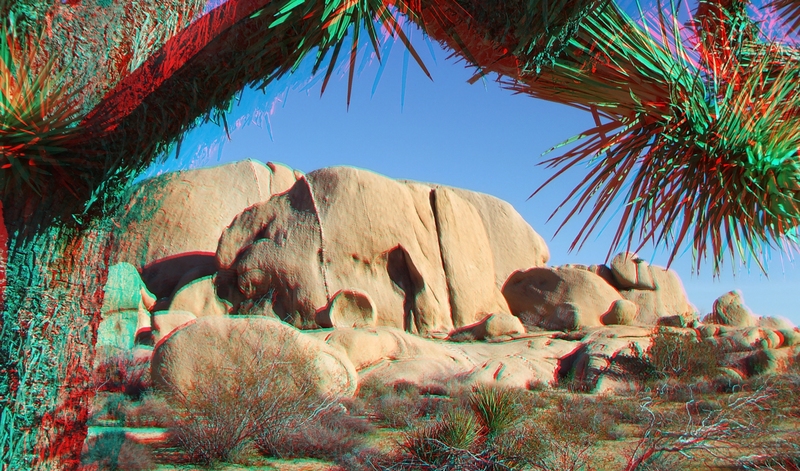 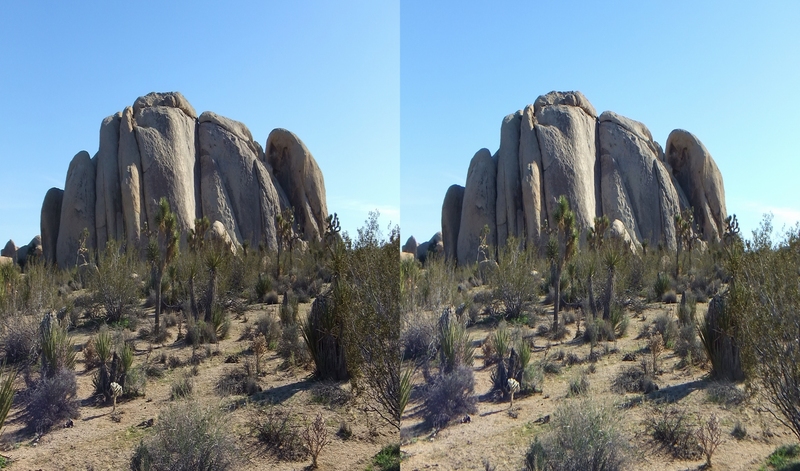 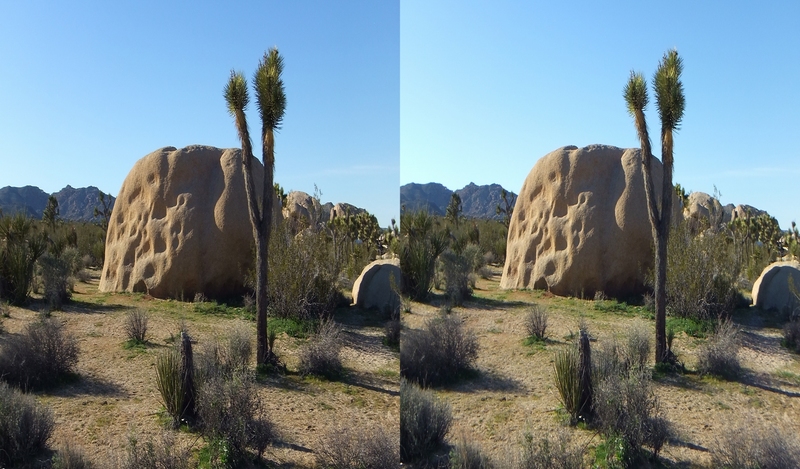 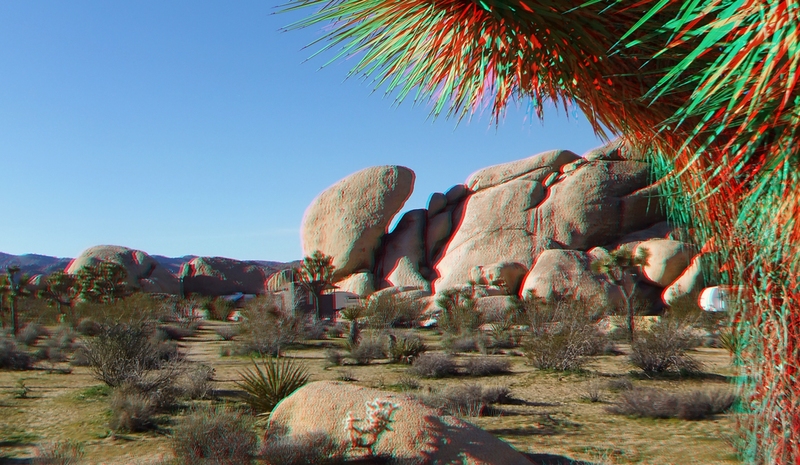 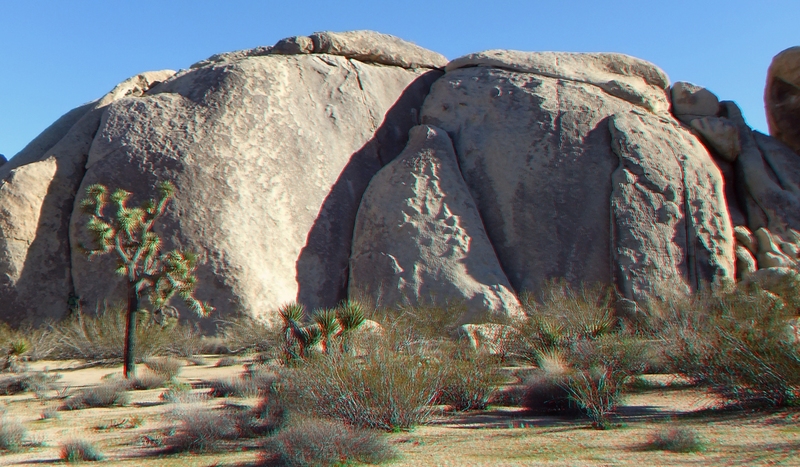 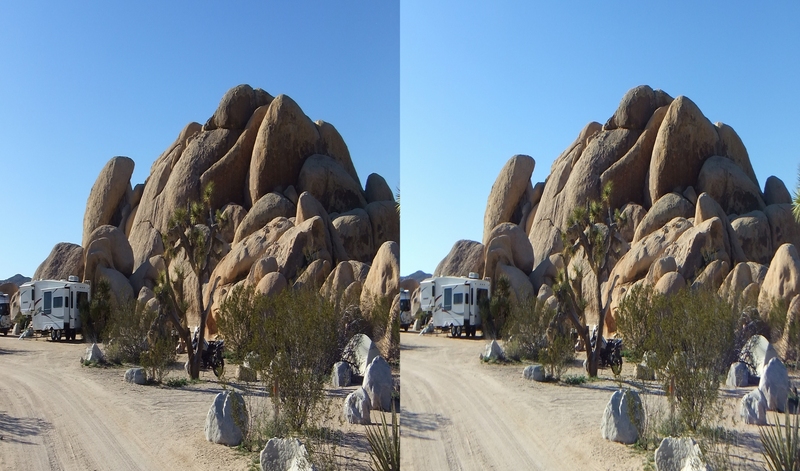 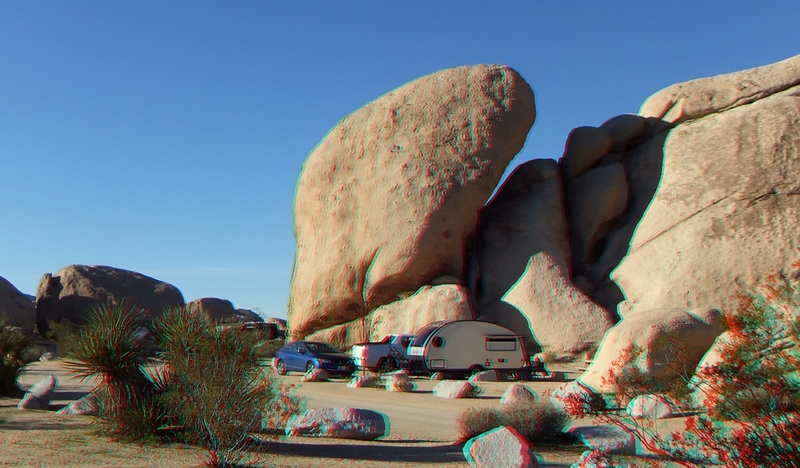 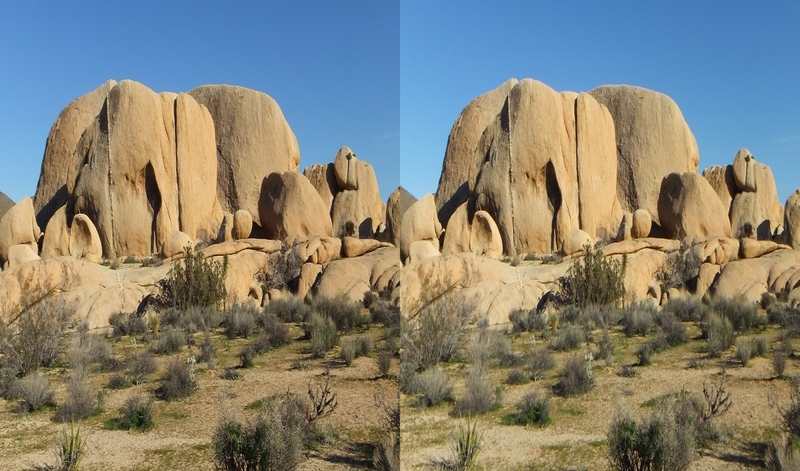 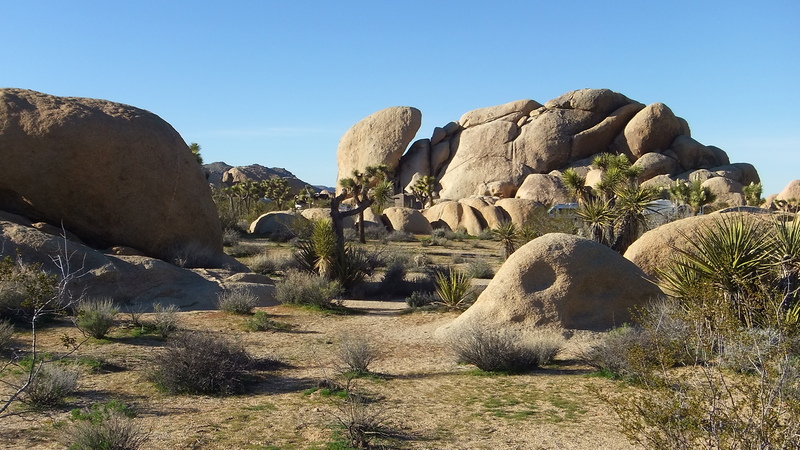 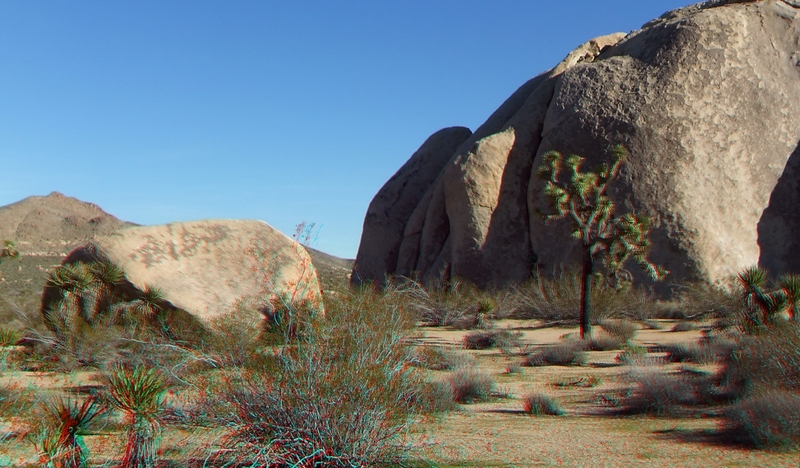 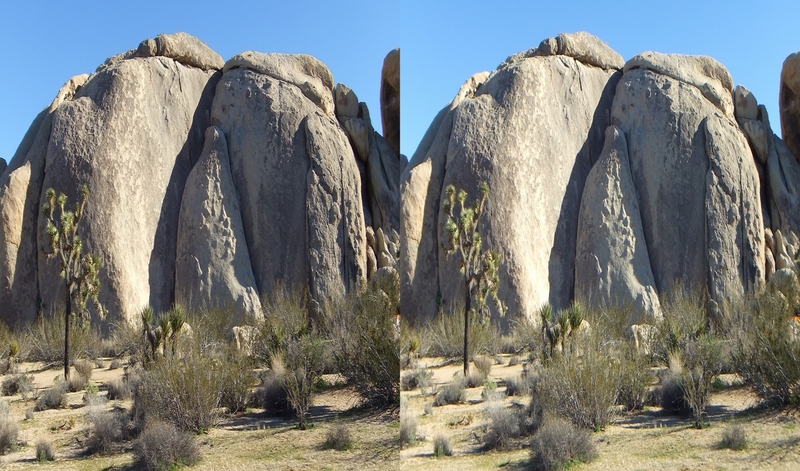 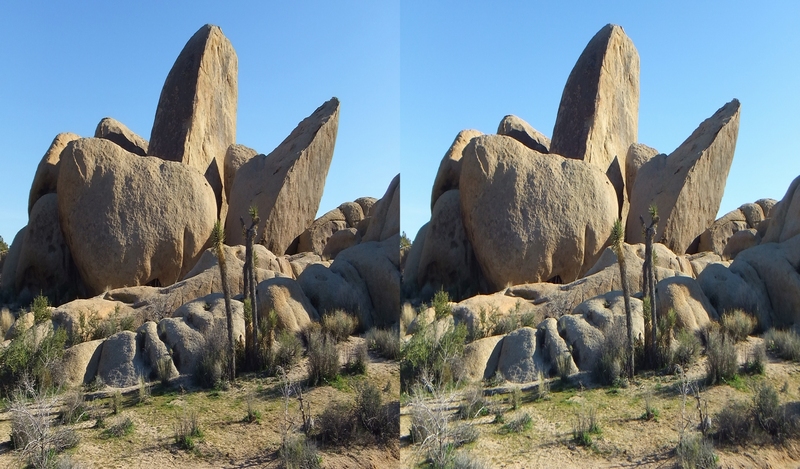 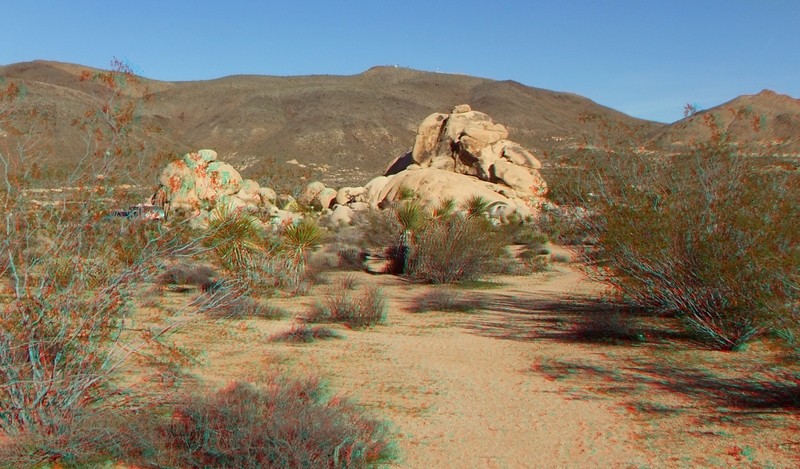 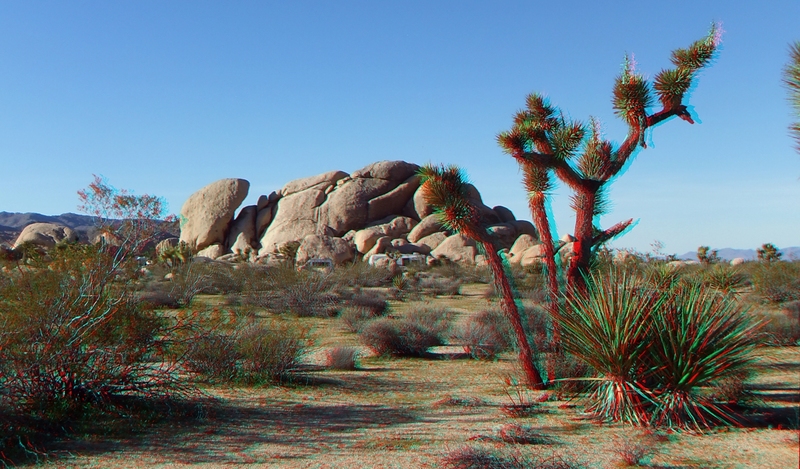 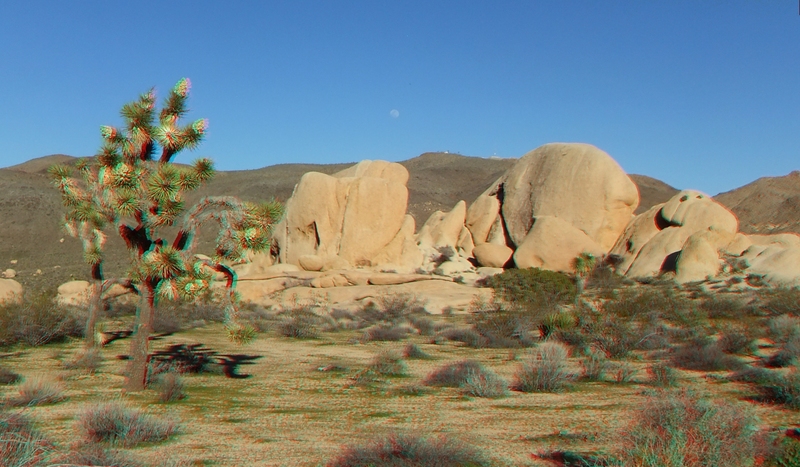 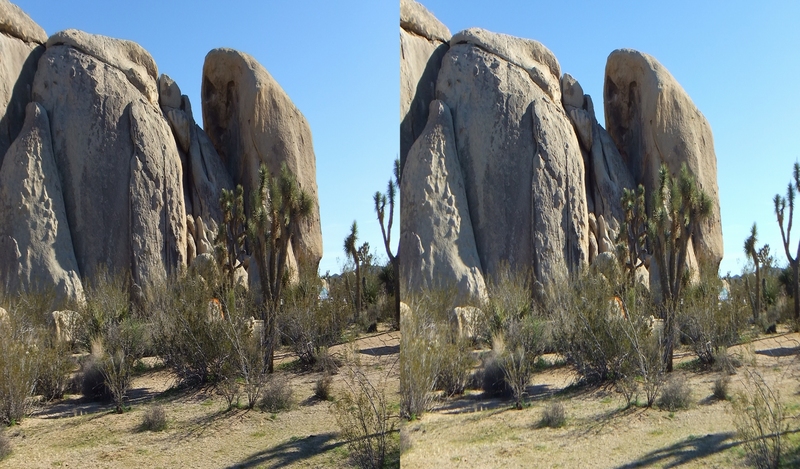 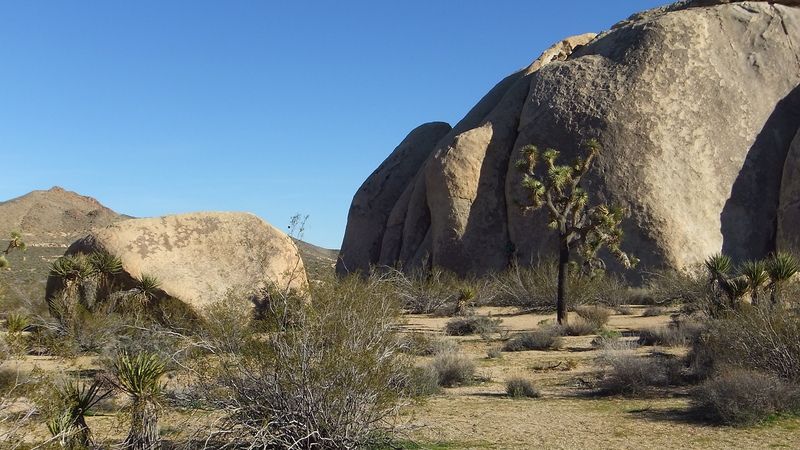 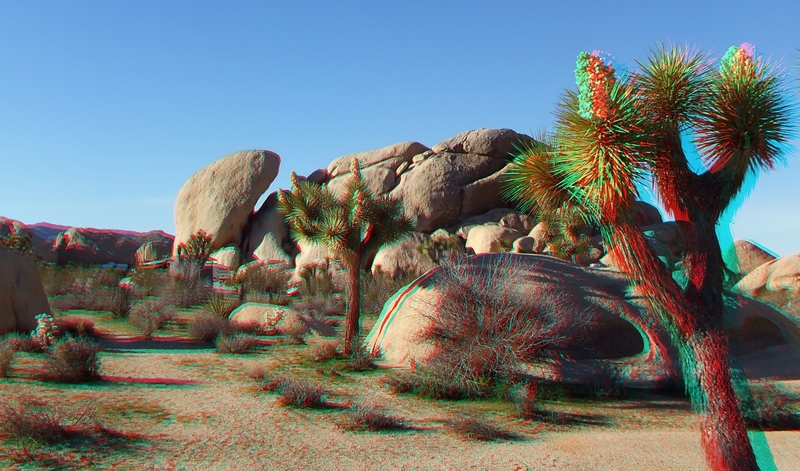 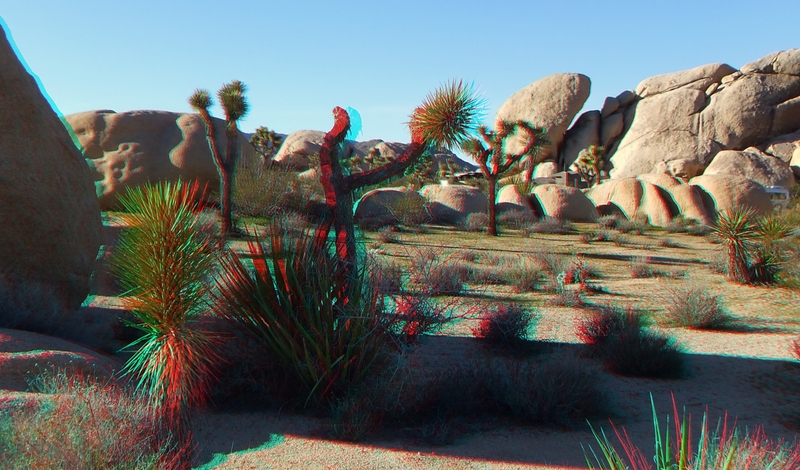 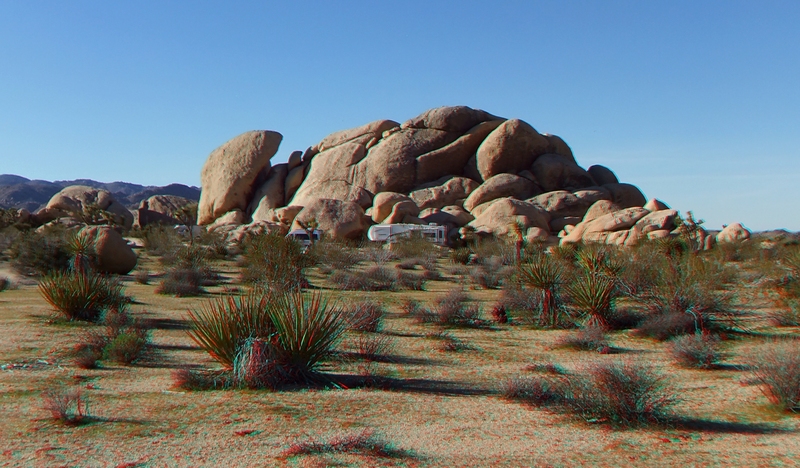 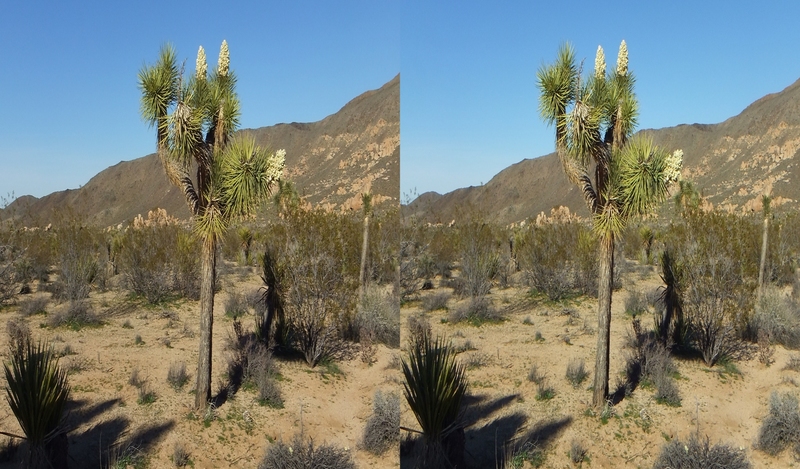 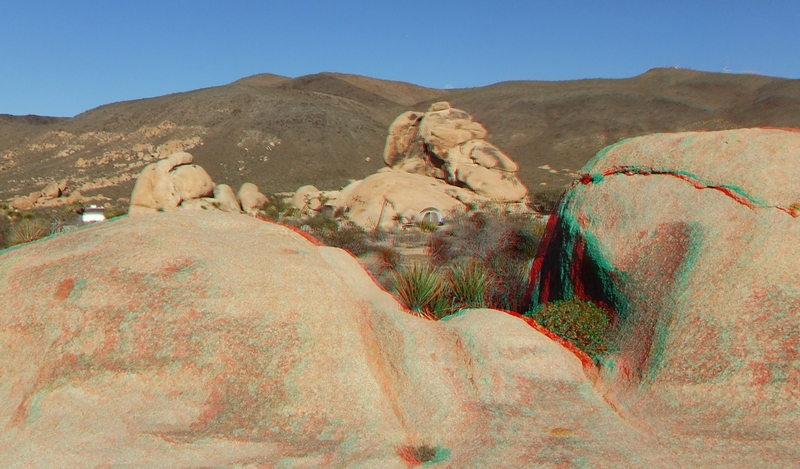 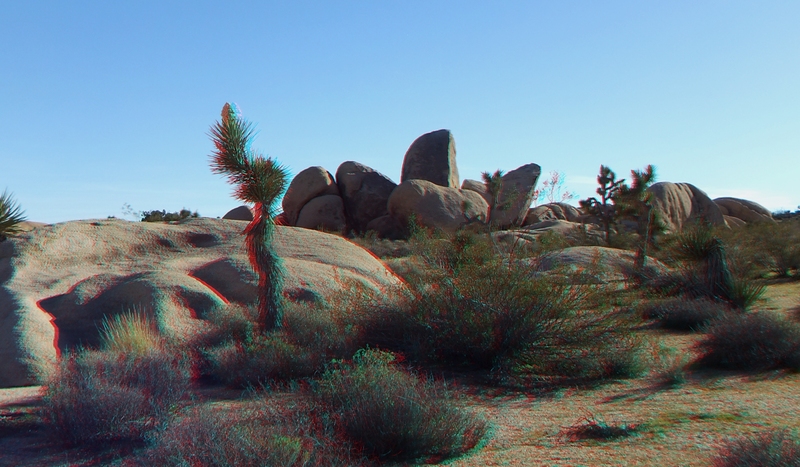 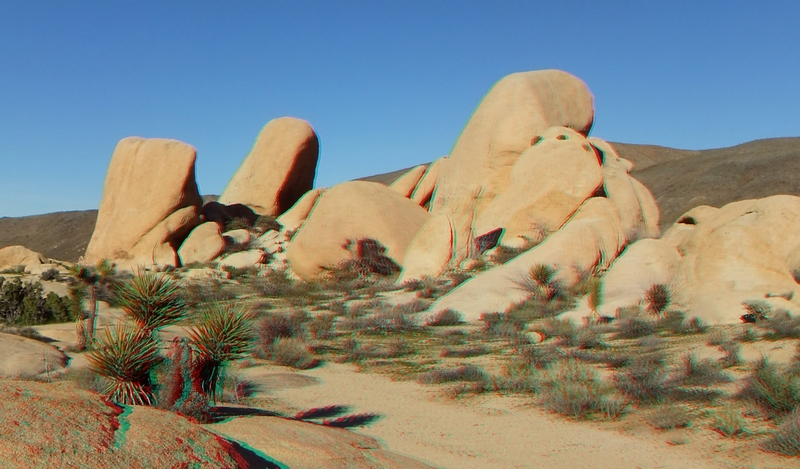 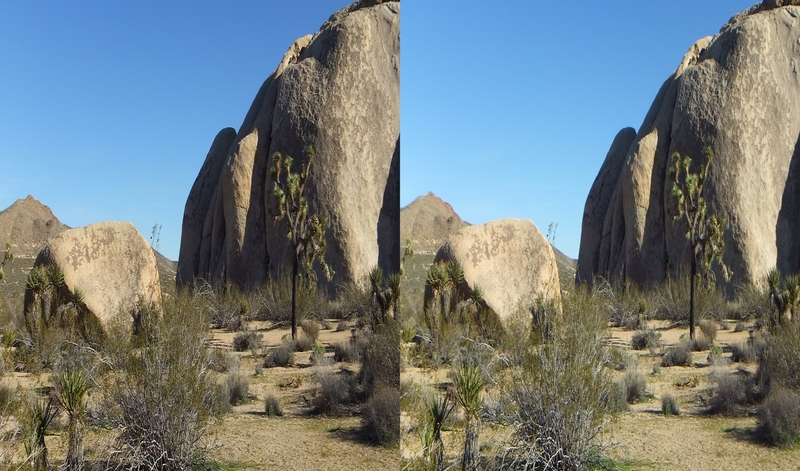 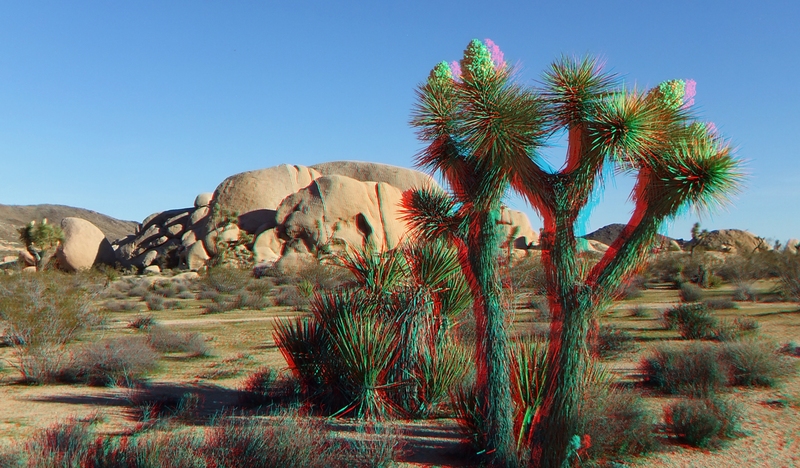 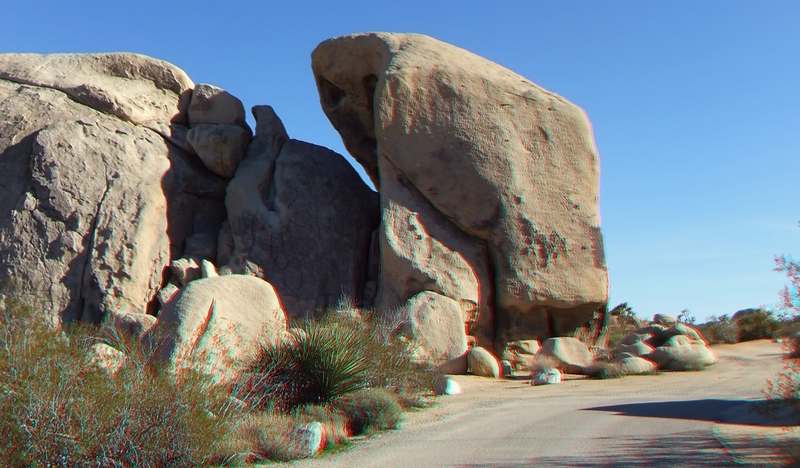 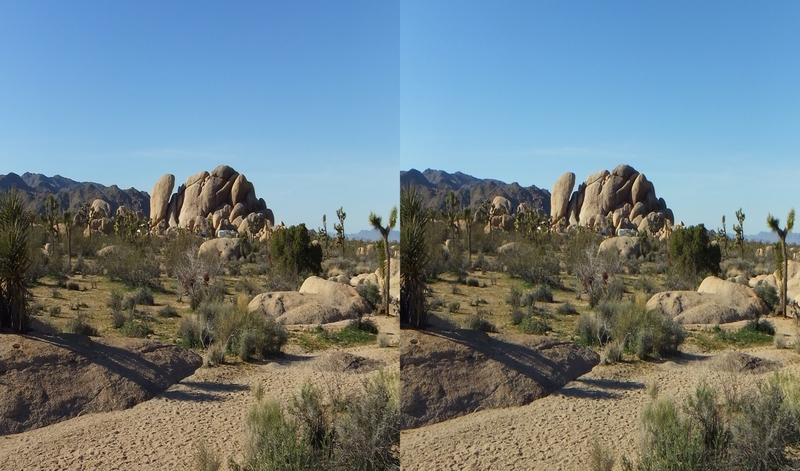 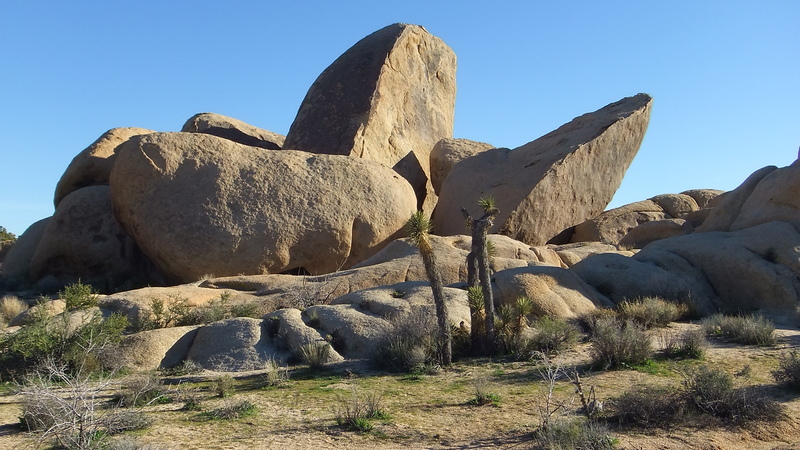 Thank you for visiting the Belle Campground Galleries and those for Becky’s Buttress at Joshua Tree 3D.